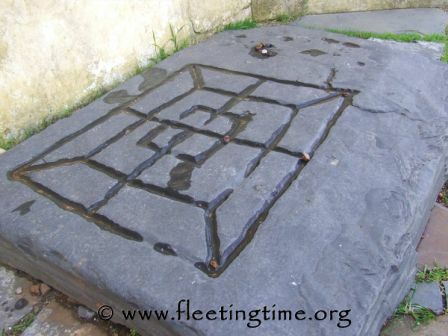 There are however some activities that you would have to prebook (i.e. 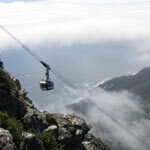 Robben Island, restaurants, golf, etc)but this will be discussed with you when you book your private guide and vehicle. 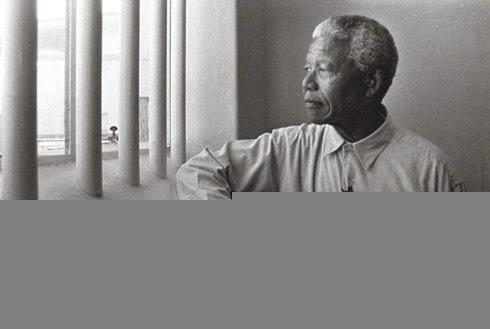 The Pride of the Southern African Subcontinent! 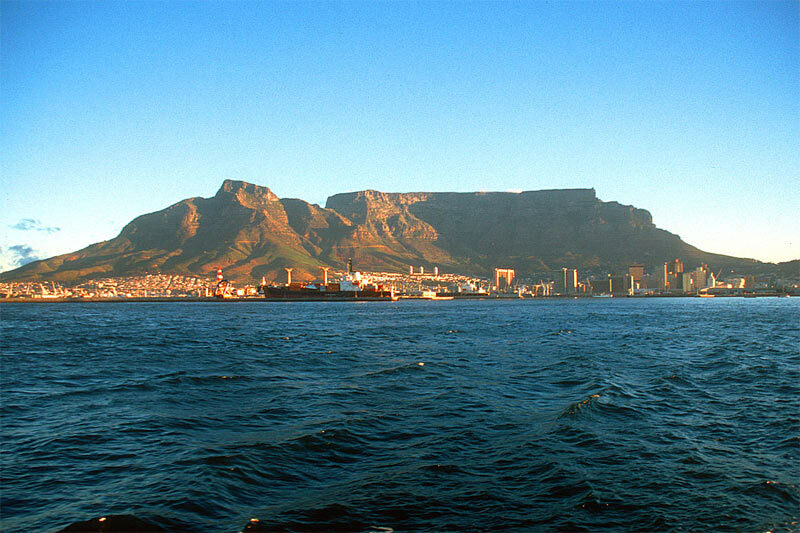 Just to wet your appetite below is a brief outline of the popular sites/activities in and around our beautiful city, Cape Town! 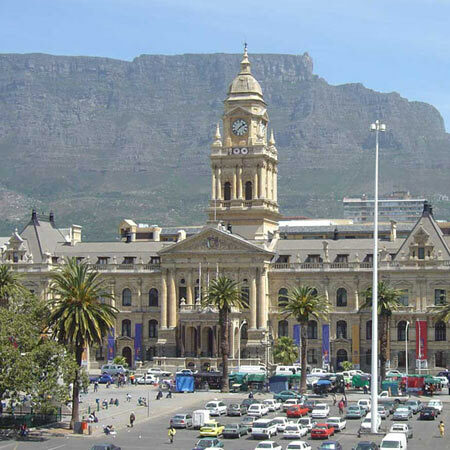 Blessed with blue skies, a balmy climate, a rich cultural heritage and a magnificent backdrop of ocean and mountain, the Mother City boasts a profusion of museums, art galleries, restuarants, shops, theatres, night spots and landmarks. 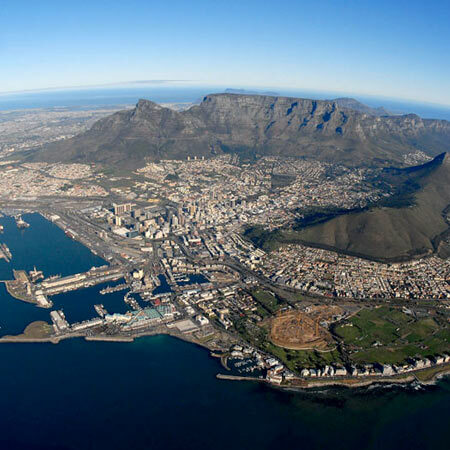 Presided over by Table Mountain and skirted by the Atlantic Ocean and a string of exquisite beaches, top attractions include the bustling Victoria & Alfred Waterfront, the famed Kirstenbosch Botanical Gardens, the Cape of Good Hope Nature Reserve, the Cape Winelands and Robben Island. 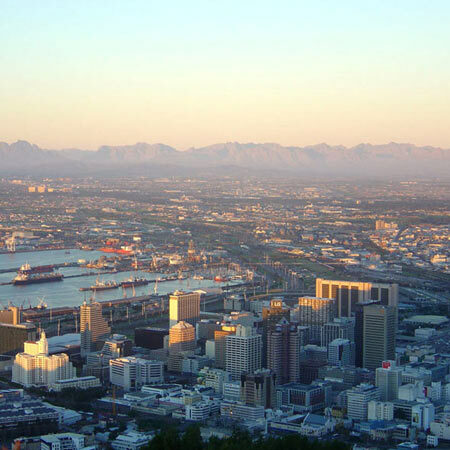 Come and see the Mother City! 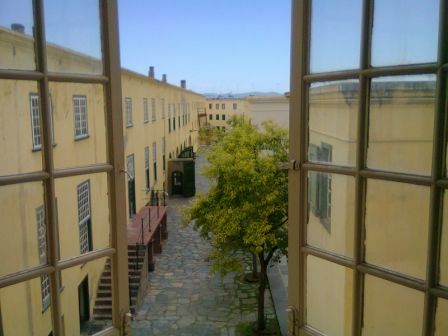 Join us for a morning or afternoon orientation tour of the Mother City as we venture through streets crowded with history. 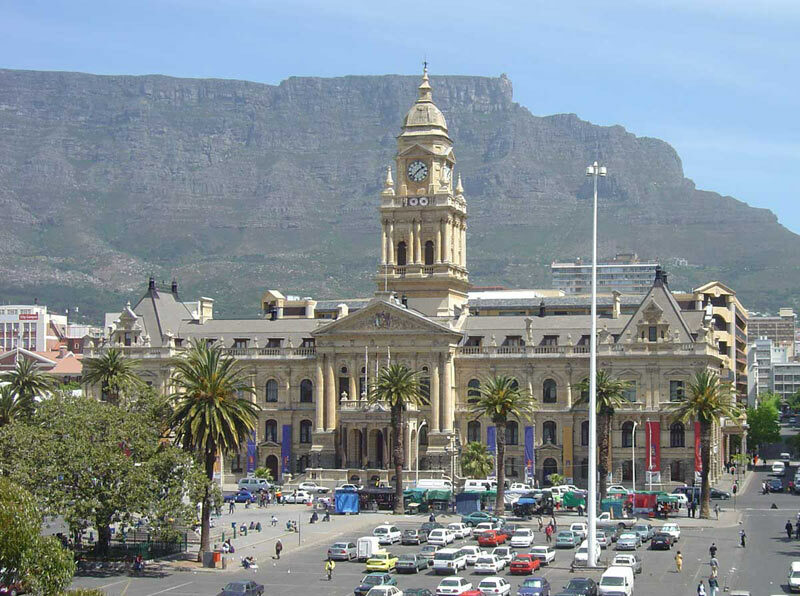 From the City Hall where Nelson Mandela gave his liberation speech to the multi-cultural Green Market Square, Cape Town has it all. 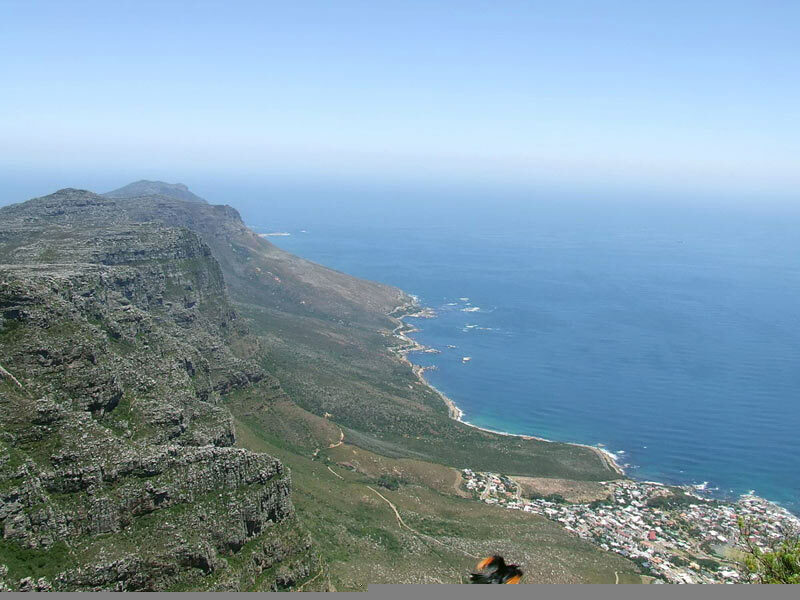 This tour includes an option to visit Table Mountain or Table View. 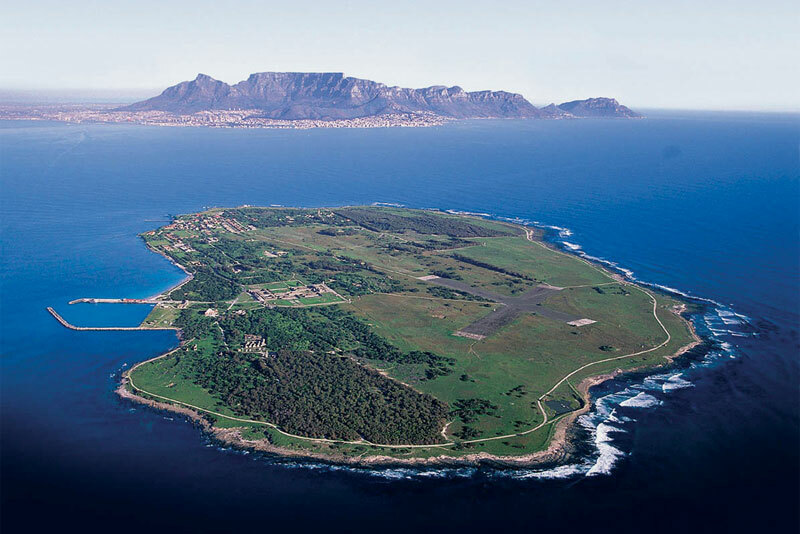 Robben Island was the holding place of political prisoners during the days of apartheid and has attracted enormous interest since the release of the famous inmate, Nelson Mandela, in 1990. 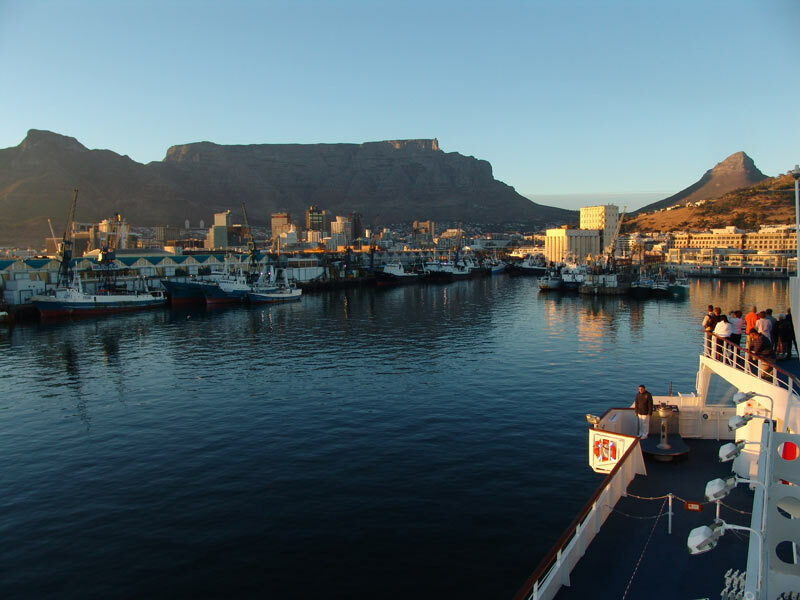 The tour includes a 7mile boat trip which takes about half an hour each way and the tour lasts about three hours. 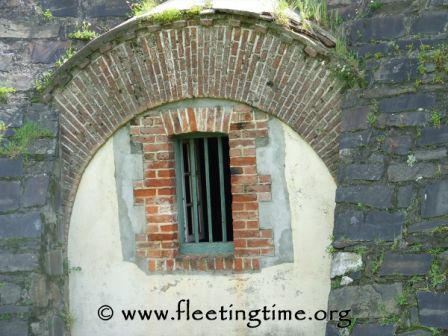 There is a comprehensive tour of the political prison and a bus ride which takes visitors to various sites across the island. Venture to the summit of the mountain! 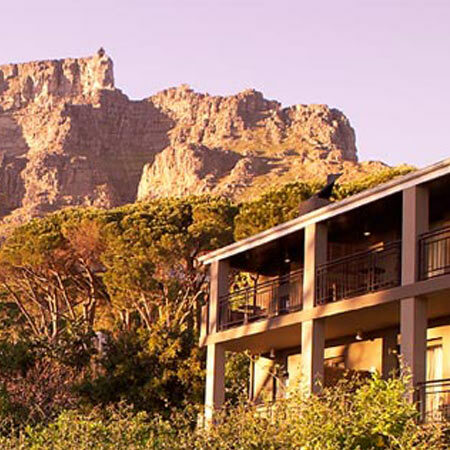 Let us arrange a private area, snacks, picnics, private hikes, absailing or even drinks for sundowners. 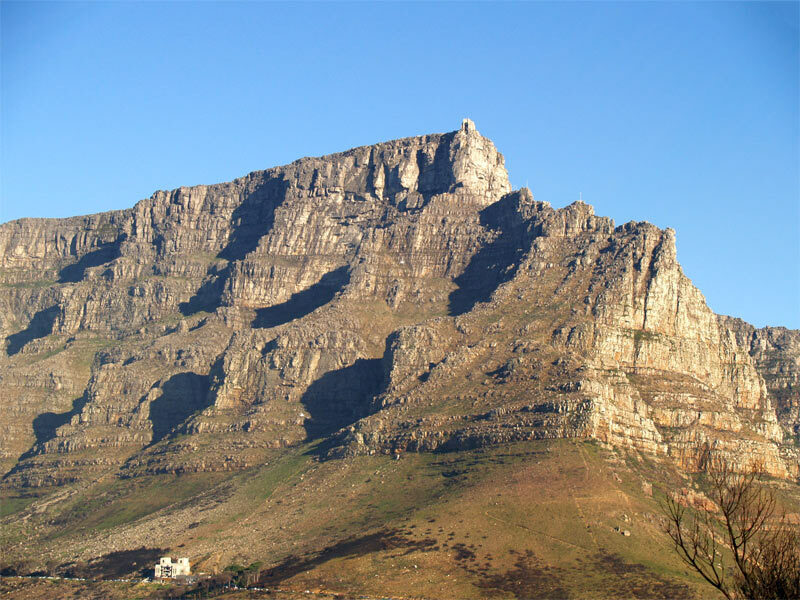 For decades, the famed flat-topped mountain which forms the backdrop to the city of Cape Town has enjoyed unparalleled status as the country’s top tourist attraction. 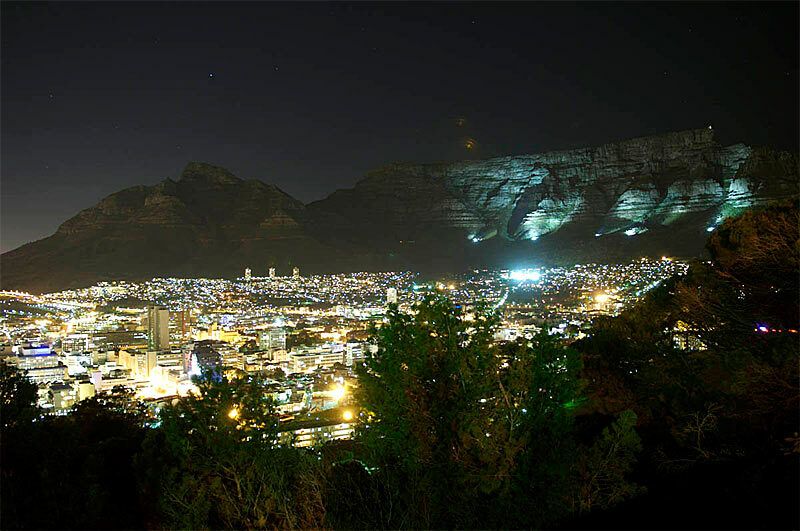 Virtually every visitor to Cape Town’s shores seems determined to venture to the summit of the mountain. 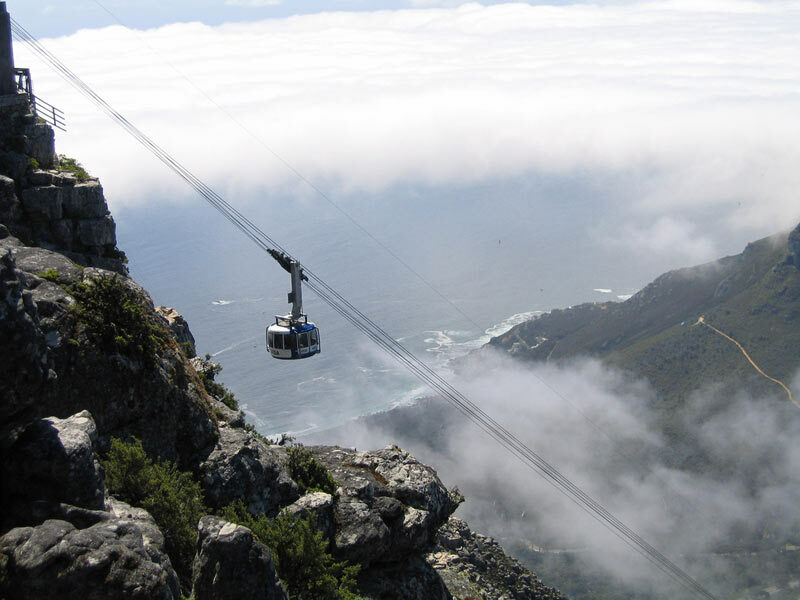 The new cable car takes as many as 65 people at a time and operates virtually throughout the year – depending of course on Cape Towns somewhat erratic weather conditions. 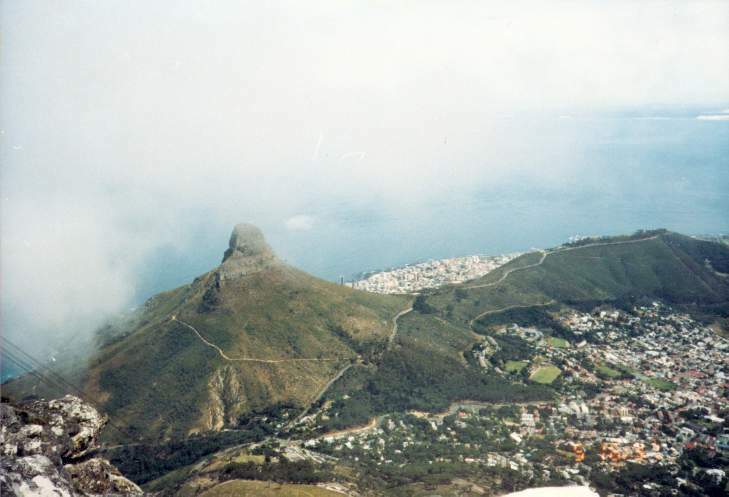 The ascent, on the other hand, is well worth any time spent in a queue, and the view of the peninsula and surrounds from the summit is reward enough. 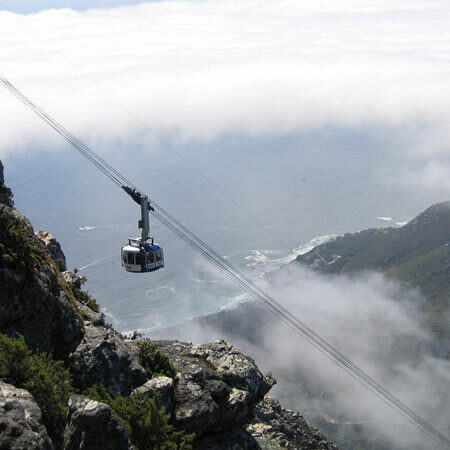 Enjoy a cableway ride to the famous Table Mountain in the early evening for a sundowner. 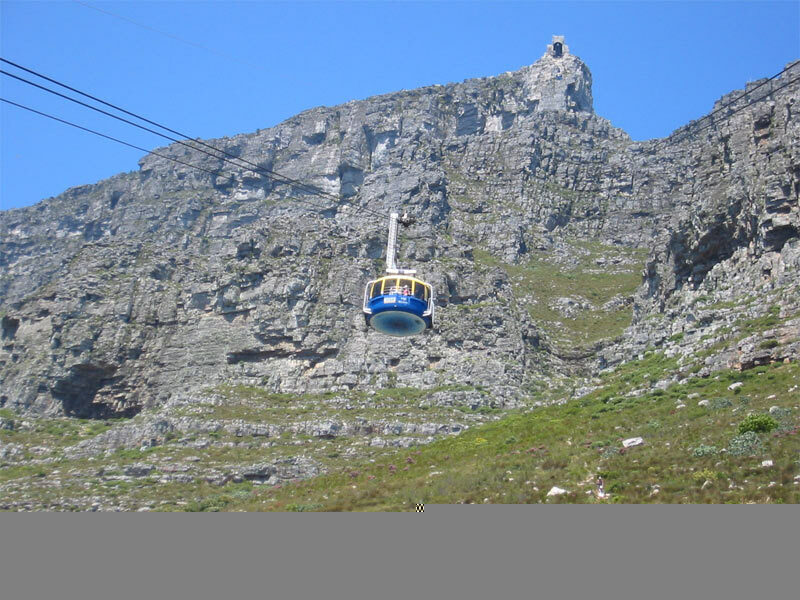 The cableway ride only takes 2 minutes to climb up the 1087m high peak. 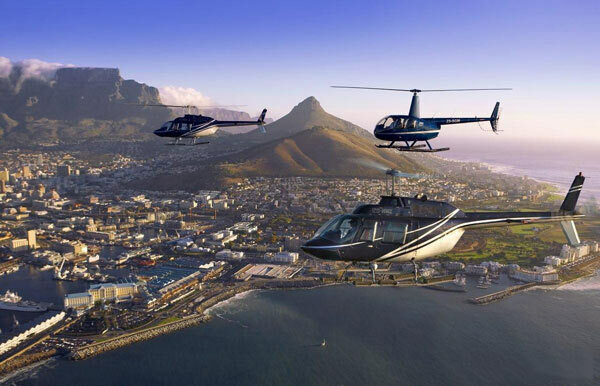 This breathtaking view overlooks the city, the Twelve Apostles, Camps Bay and the Cape Peninsula. 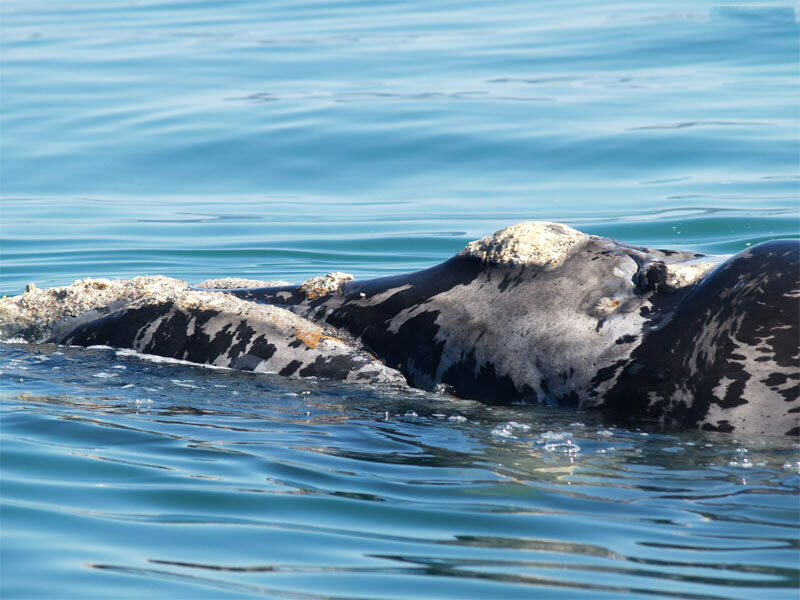 In the month of September you can enjoy the whale festival! 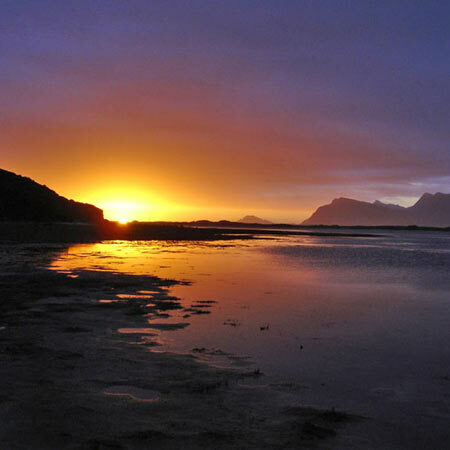 A 1 ½ hour scenic drive along the coastal road to the famous seaside viallage, Hermanus. 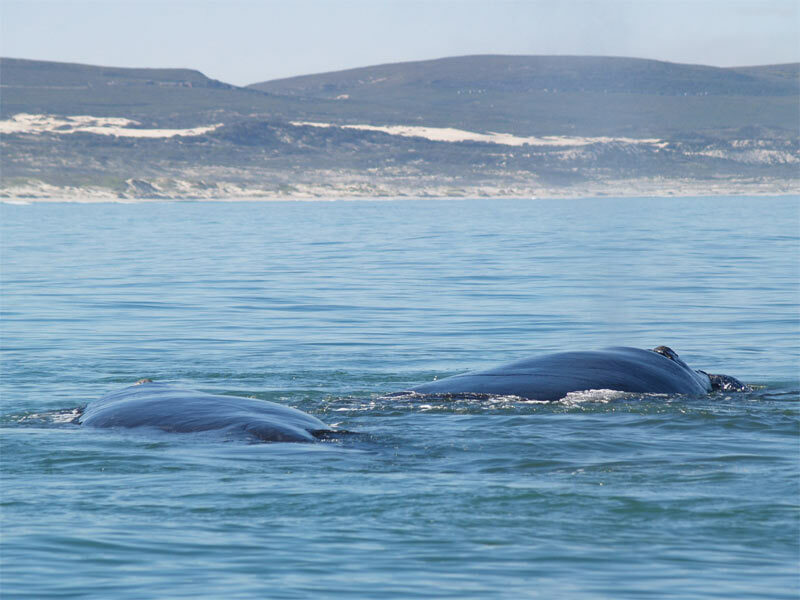 Hermanus is famous for it's whale watching (August – November). 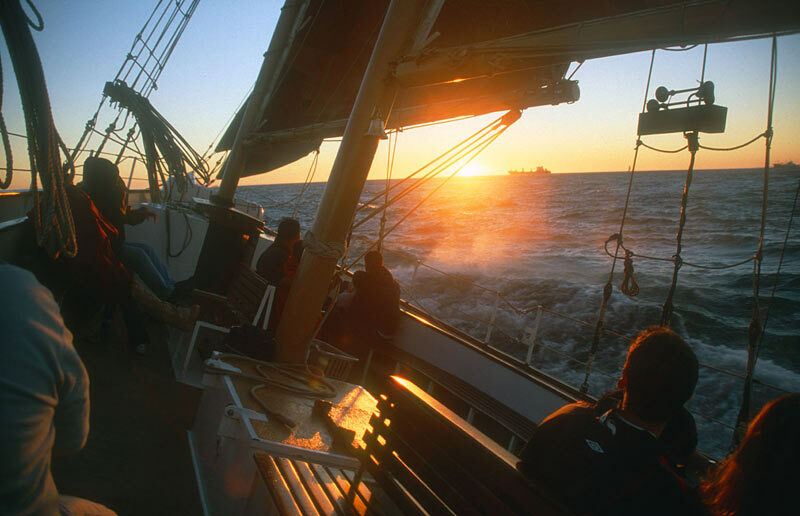 A boat trip out to sea is also a very nice option. Lunch in Hermanus/Onrus and a pleasant drive back through some fruit/apple orchards back to Cape Town. During the Summer months (September to March) you can enjoy the amazing appletizer picnic music evenings every Sunday! 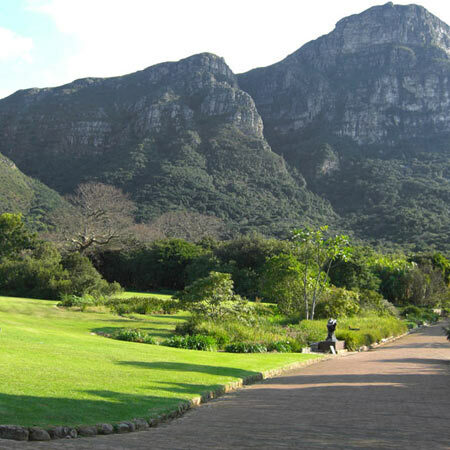 Kirstenbosch Botanical Gardens are on the eastern slopes of Table Mountain and extends up to Maclear’s Beacon. 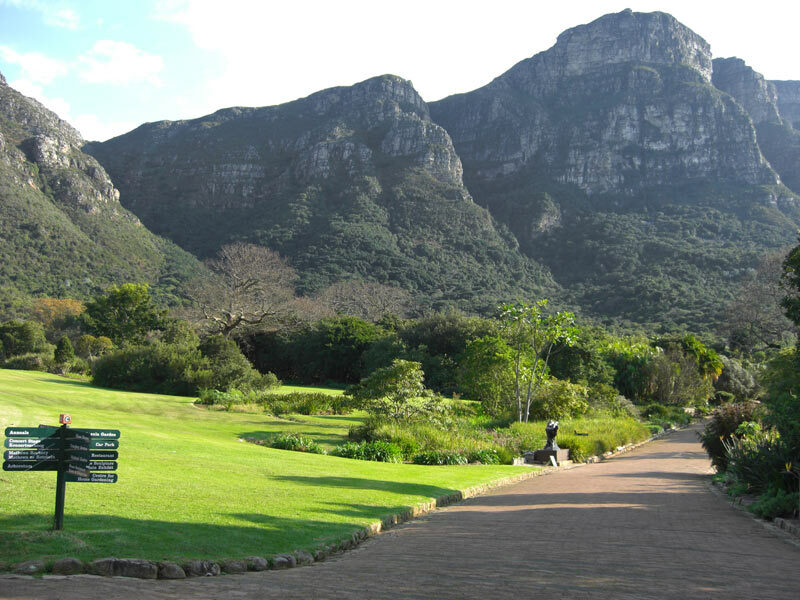 Kirstenbosch comprises over 500 hectares (1235 acres) as well as 478 hectares (1181 acres) of fynbos and natural forest. 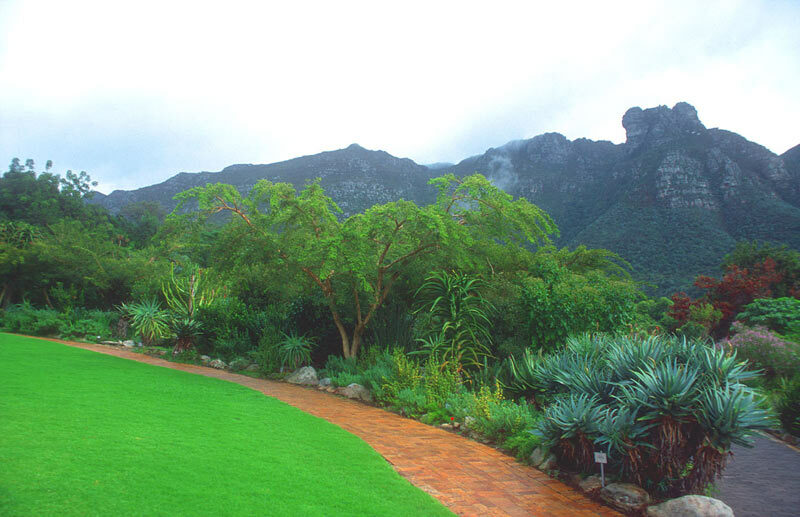 The landscape includes nearly 7000 species of indigenous plants, nearly 1000 of which occur naturally within the area – many are unique to the slopes of Table Mountain. 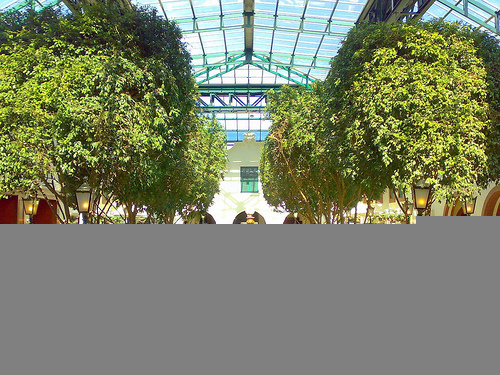 Some 36 hectares (89 acres) are reserved solely for cultivation and research. 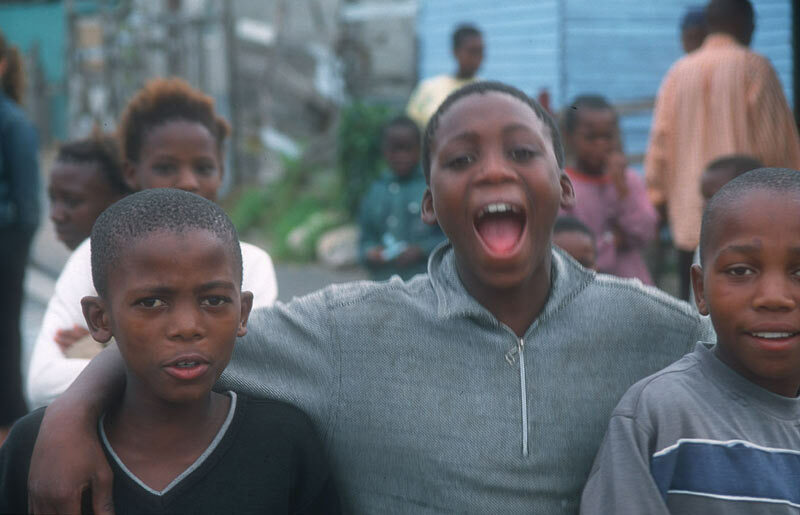 The Township and Cultural tour will be tailor made to your interests including private appointments with orphanages. 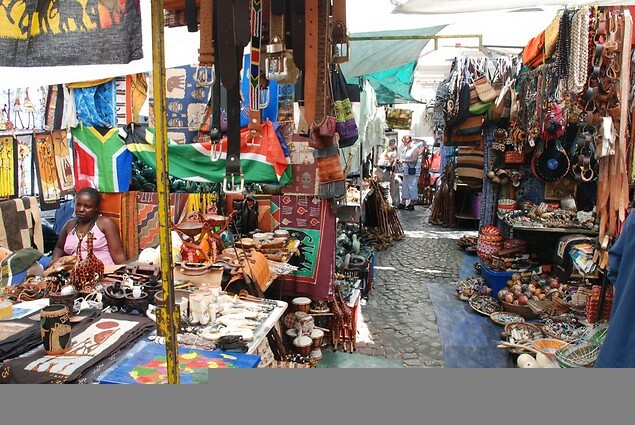 Discover the multicultural side of Cape Town and interact with the locals. 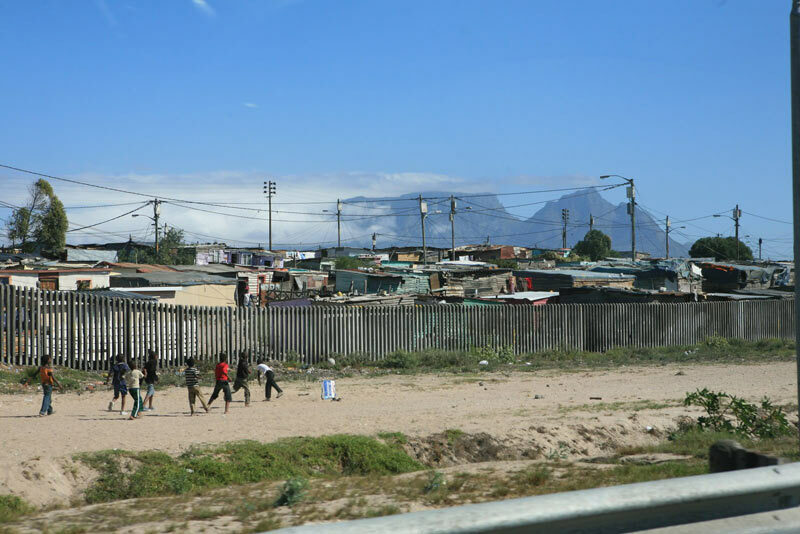 Lunch at a local African restaurant in Langa(township). 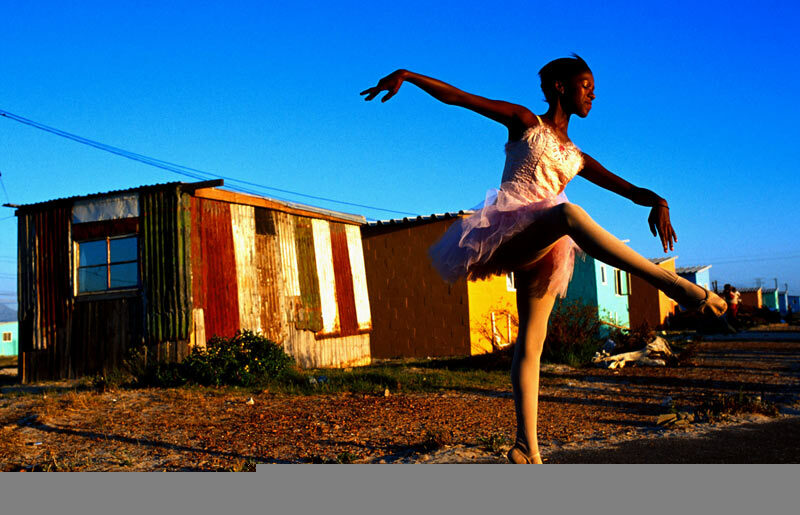 After lunch you will be given a guided tour of Langa, Gugulethu (Amy Biehl Memorial), Crossroads and Khayelitsha. 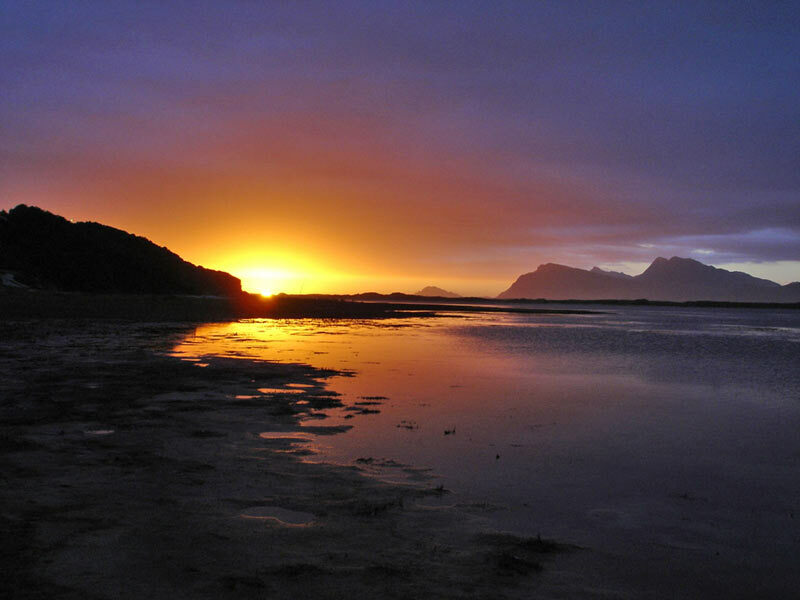 The most spectacular sunsets in the world! 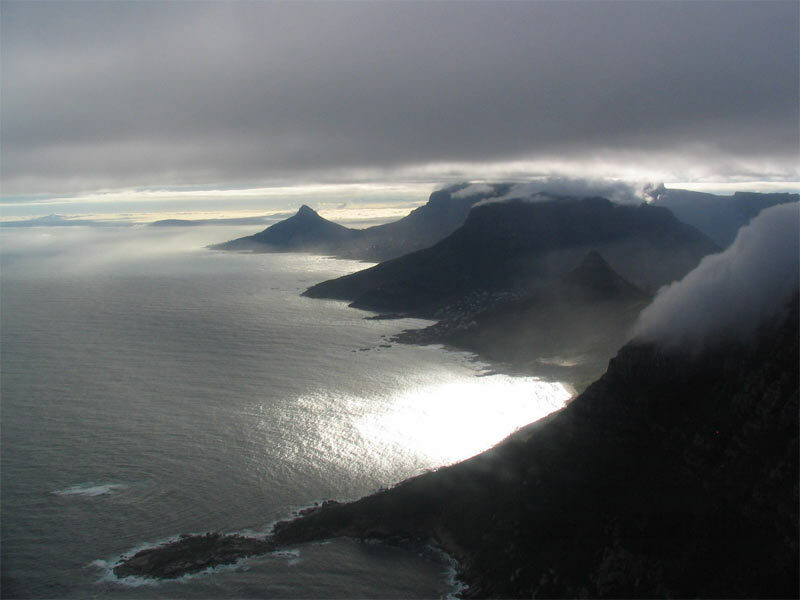 The strip of the peninsula’s shoreline commonly known as the Atlantic Seaboard stretches some 55 kilometres (34miles) from the waters of Table Bay along the western coast to the nature reserve at Cape Point. 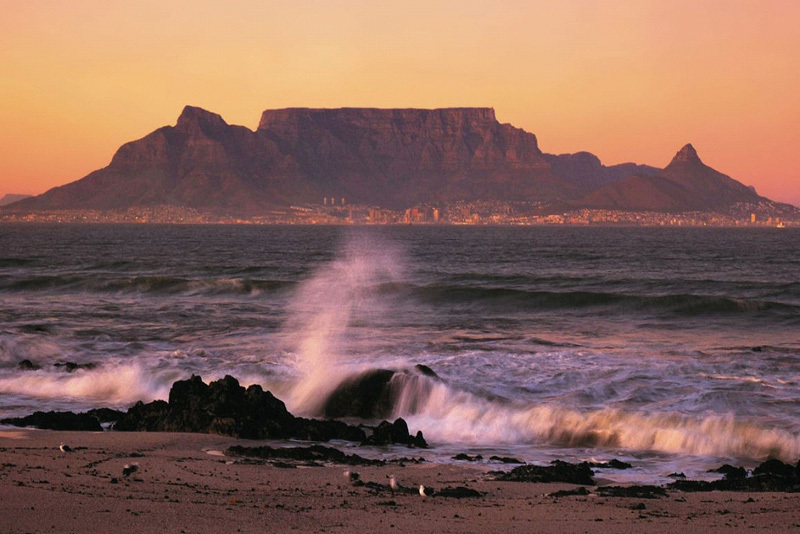 The exceptional beaches and rugged mountains along this coastline not only make this a popular drive – both for locals and visitors – but also provide outstanding views across the Atlantic Ocean, with some of the most spectacular sunsets in the world. 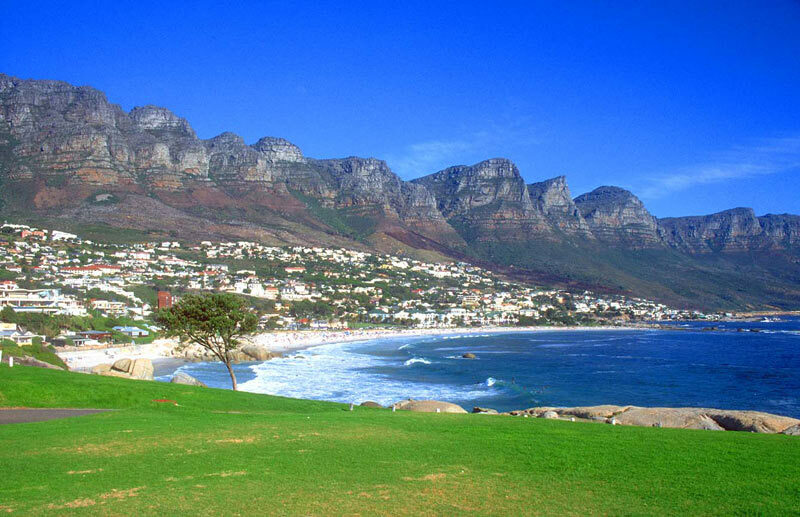 We drive through Clifton (famous beaches), Camps Bay, Hout Bay and Champan’s Peak Drive, just recently re opened after a 5year renovation. 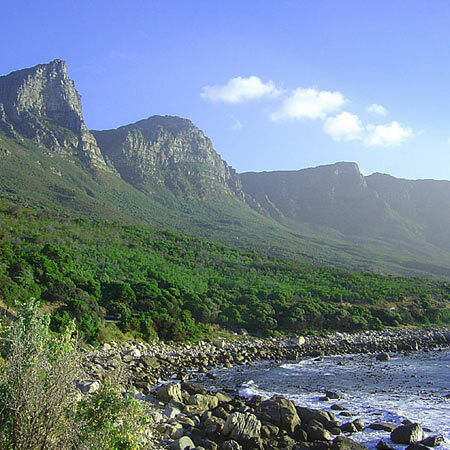 The Cape of Good Hope Nature Reserve encompasses the entire southern tip of the peninsula and Cape Point. 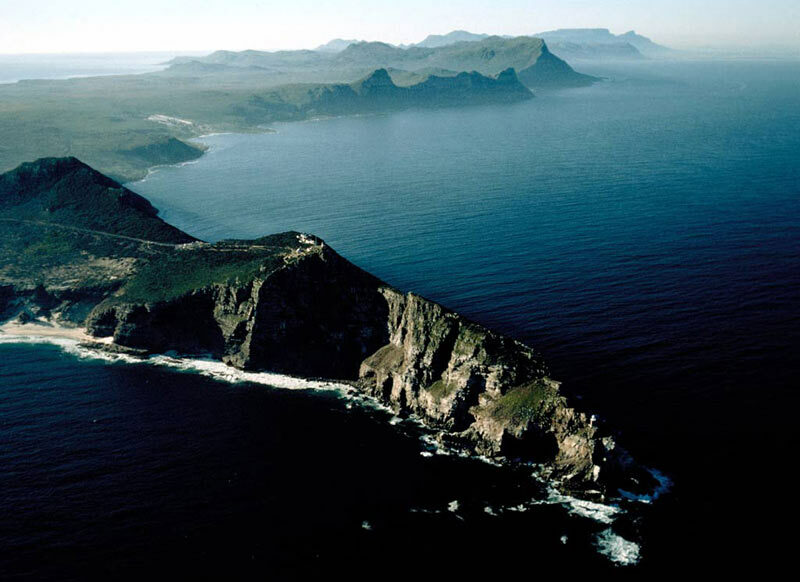 Cape Point the southern tip of the Cape Peninsula is not, despite popular belief, the meeting place of the Indian and Atlantic oceans but the southernmost point of Africa. 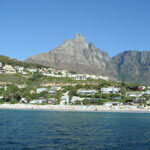 On your way back you will visit the Boulders in Simonstown. 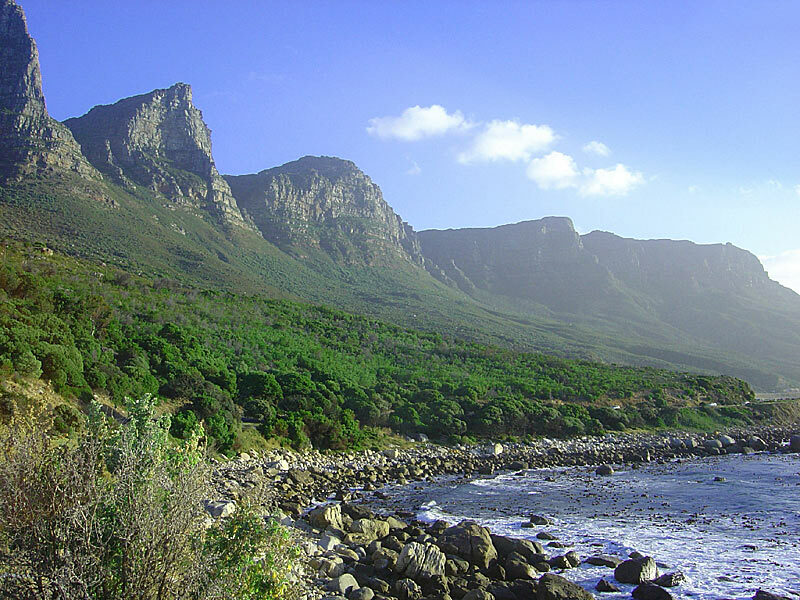 The Boulders beach is home to a colony of endangered jackass penguins, and is protected by the massive rounded granite outcrops from which it gets its name. The waters of this sheltered beach are both warm and safe. Horseback-riding tours can be arranged for you. Riding stables are located on the neighbouring farm, and are available hourly. 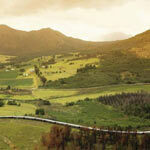 You may wish to enjoy wine tasting whilst on a horseback trail. 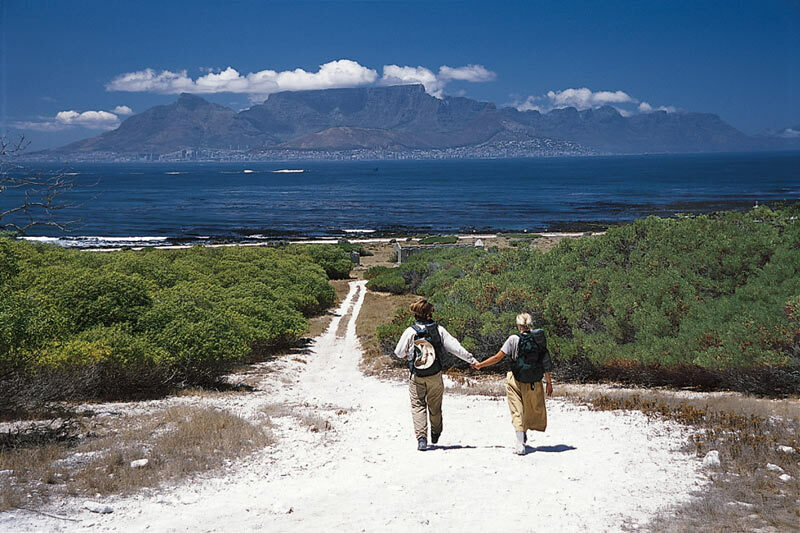 The 2 to 3 hour walking tours will take you through the mountain fynbos of the Cape Peninsula where you encounter the last remaining Chacma Baboons in their home territory. 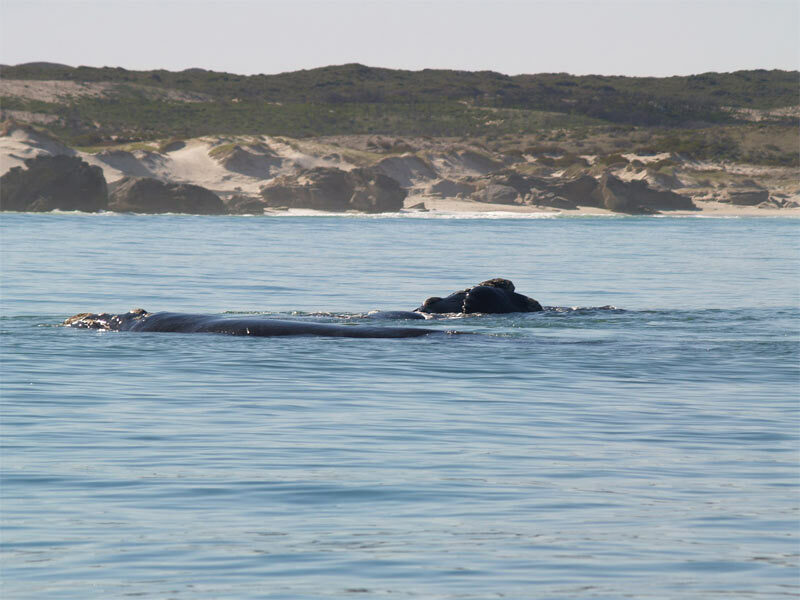 This is a unique opportunity to sit and watch these fascinating animals as they eat, play and socialise around you. 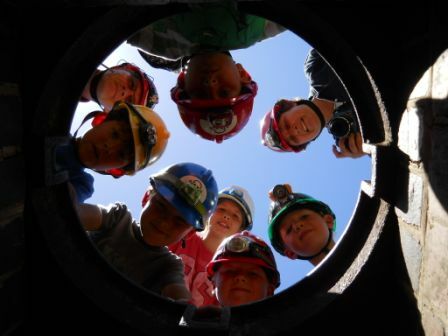 Qualified guides ensure your safety and enjoyment of this unique experience. 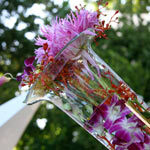 Meet the winemaker - Private wine tastings opposed to group tastings can be arranged. 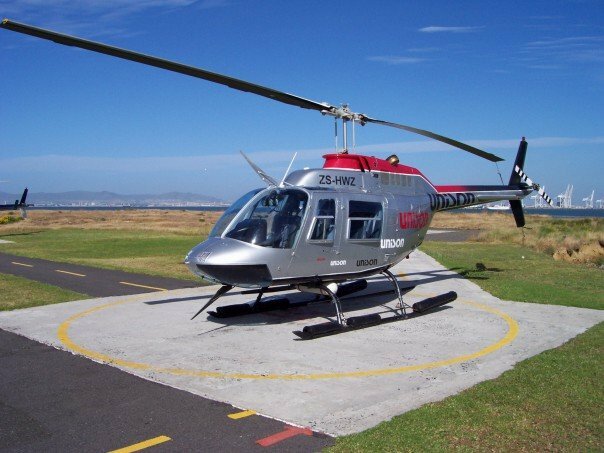 Your guide will take you to 2 or 3 of the wine farms in the area for wine tasting, as well as visit historical places of interest along the way. Chocolate and wine tasting fantastic! 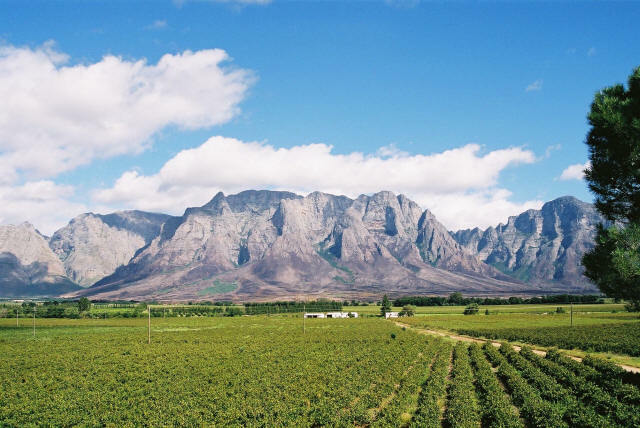 A 40 minute drive from Cape Town, at the foot of the second largest granite outcrop in the southern hemisphere, you will find the scenic town, Paarl. 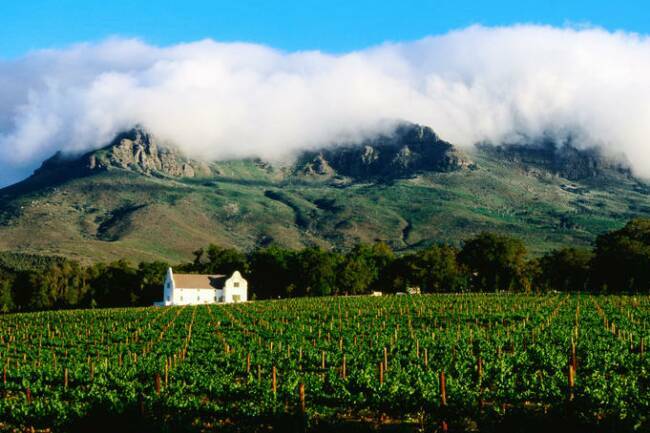 A mere 60km from Cape Town, Paarl is renowned not only for its illustrious past and unrivalled beauty. 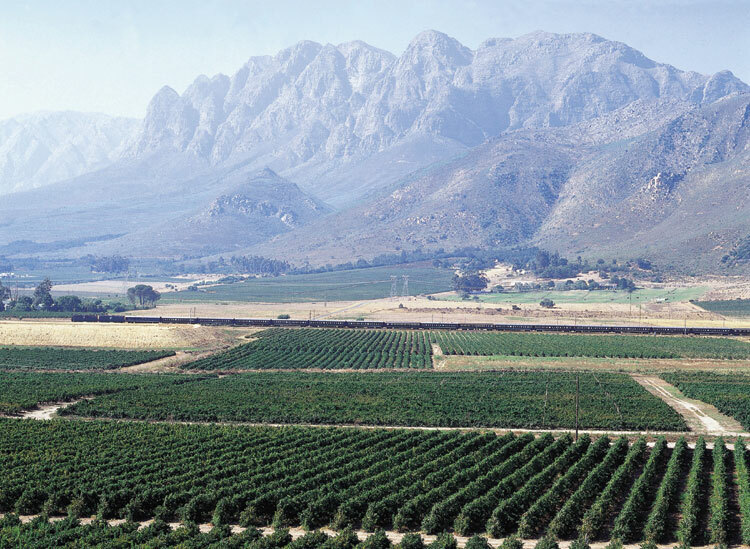 Paarl also presents visitors with an array of attractions scenic drives, hiking trails, wine tasting opportunities, excellent restuarants, an architectural heritage spanning three centuries, a variety of accommodation establishments, as well as friendly and honest hospitality. 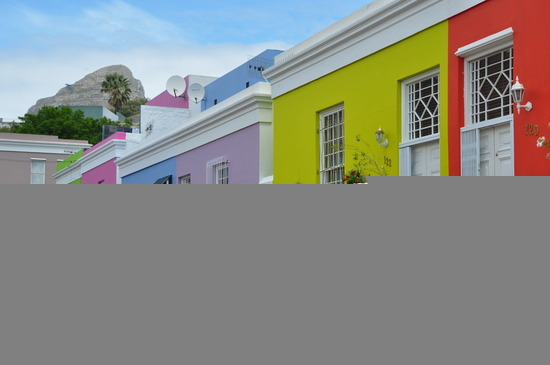 30 minutes out of Cape Town a premier tourist destination, the name Stellenbosch conjures up images as very few other South African towns or cities can. History is reflected the neo-Dutch, Georgian and modern Victorian architecture of many of its buildings, all of which bear witness to its proud and dignified heritage. 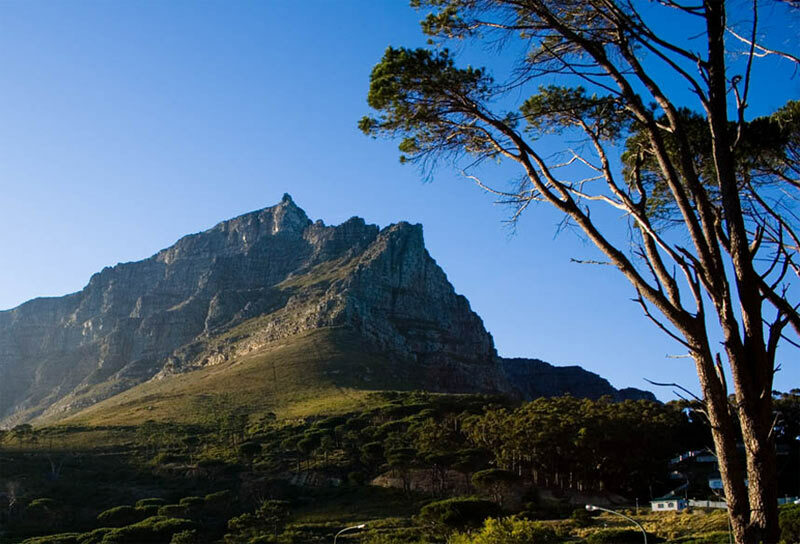 The town, ideally situated in a magnificent mountain valley, boasts a mild Mediterranean climate and is the ideal destination from which to explore the Winelands, Cape Town, the Peninsula and the many other tourist attractions the area has to offer. 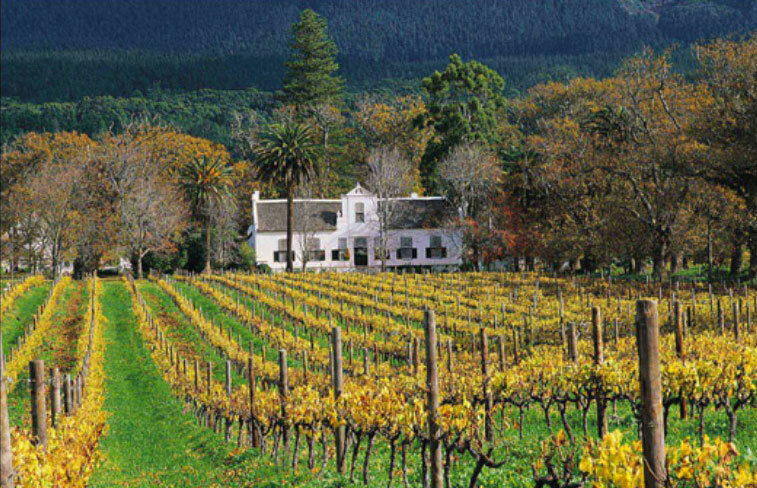 Stellenbosch is the centre of the country’s wine industry, and is also home to the world renowned University of Stellenbosch, otherwise known as Maties. 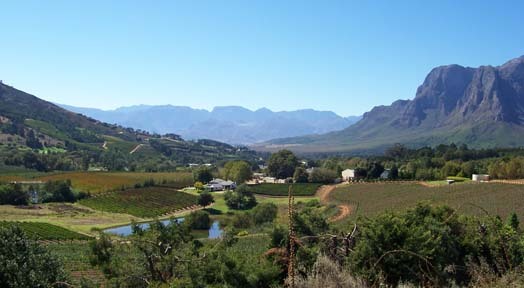 Many national and international industries have their headquarters in Stellenbosch. 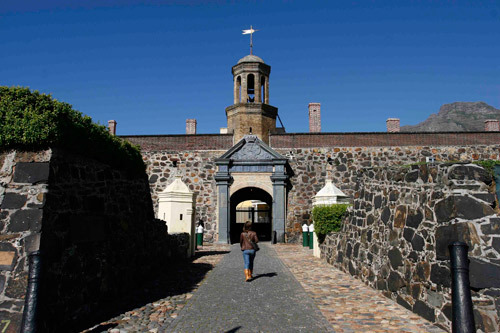 In 1679 Simon van der Stel pitched his tents on an island in the middle of the Eerste River, and decided to establish a town, which he named Stel-en-Bosch. 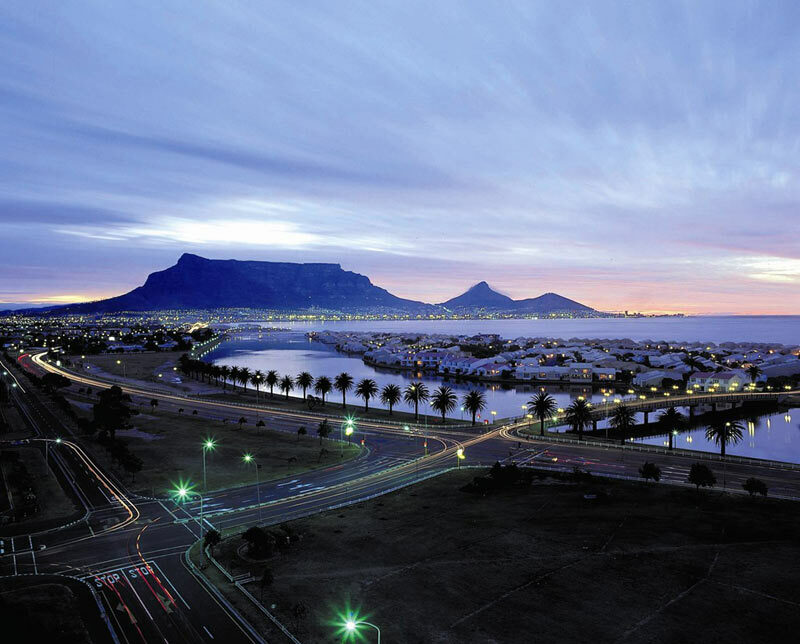 Eight of South Africa’s leading restaurants, twenty five extraordinary wine cellars, a plethora of galleries and shops – a lifetime of discoveries! 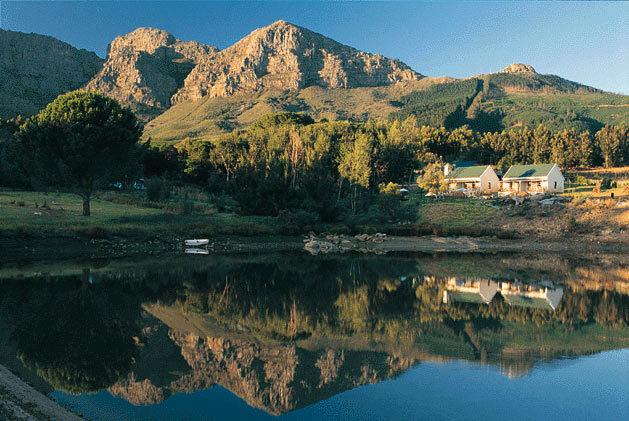 Majestic mountains embrace the picturesque Franschhoek Wine Valley, which quietly welcomes you with an aura of exuberance and warmth. 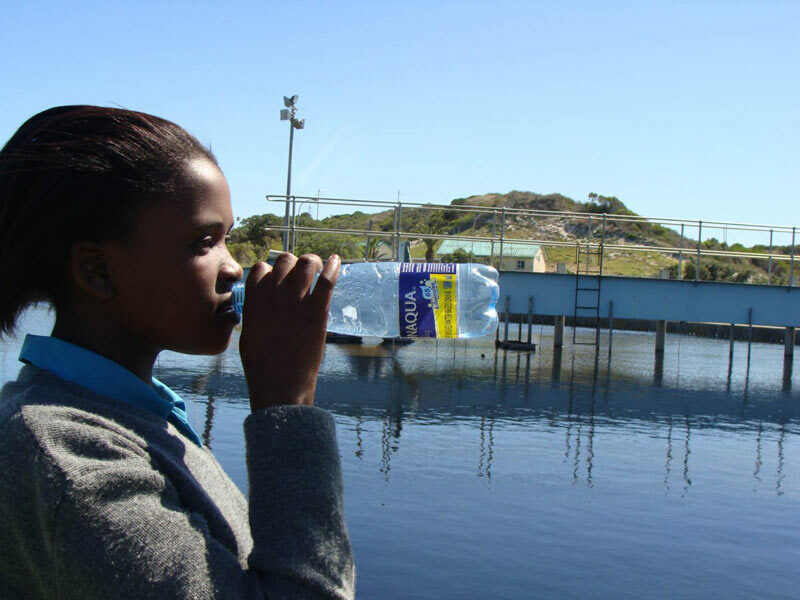 Franschhoek wine valley appreciates the responsibility of creating a better environment for all and is firmly committed to may social, employment and environmental projects. 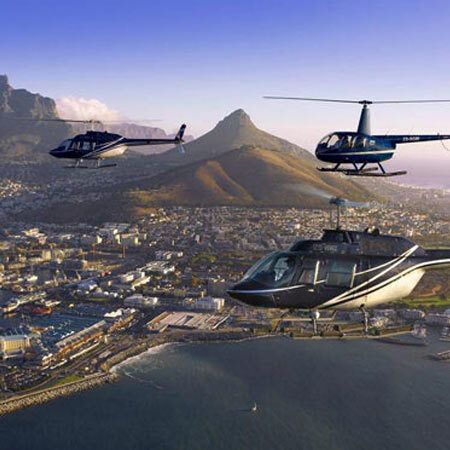 A wonderful way to see Cape Town! Longer options also available on request. 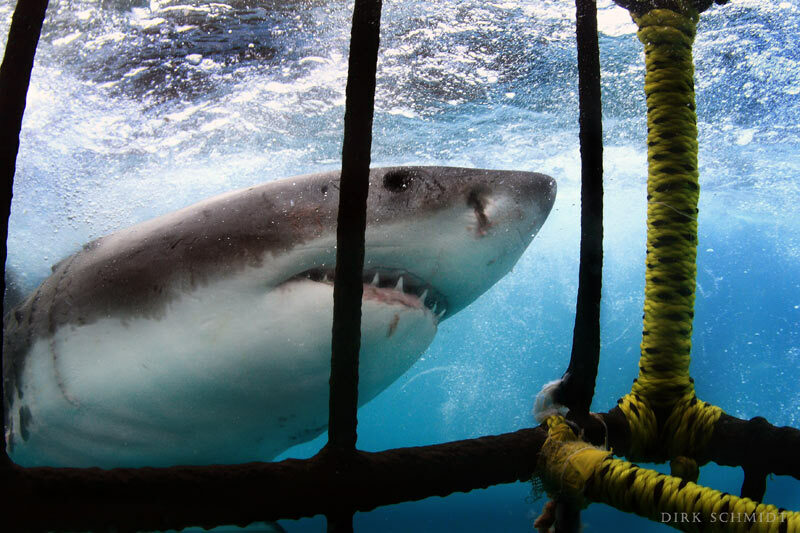 Great White Shark cage diving excursions to Geyser and Dyer Island begins at the picturesque Kleinbaai harbour near Gansbaai. 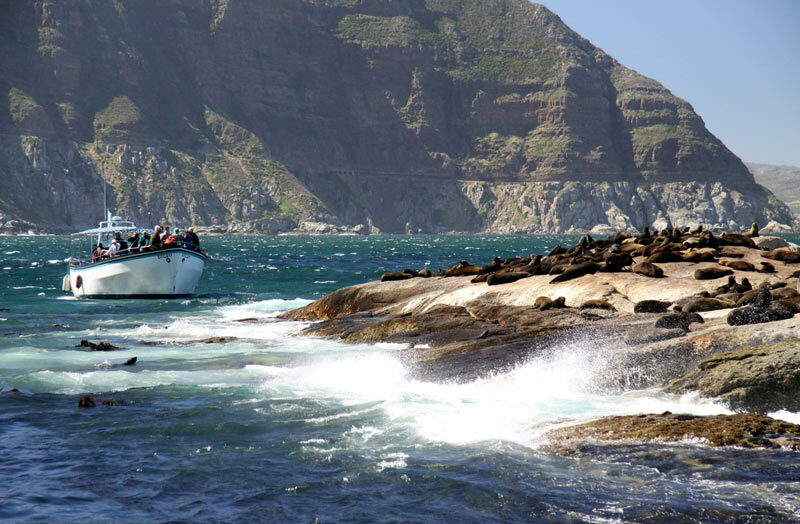 Geyser Island is home to a permanent colony of approximately 60 000 Cape Fur Seals. 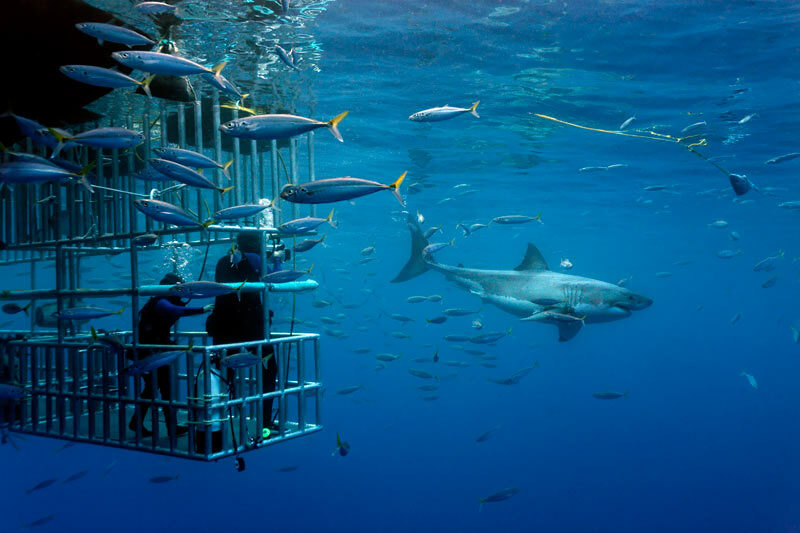 The channel between these islands is renowned worldwide to be the best place to observe; encounter and cage dive with the Great White Shark and is known as "Shark Alley". 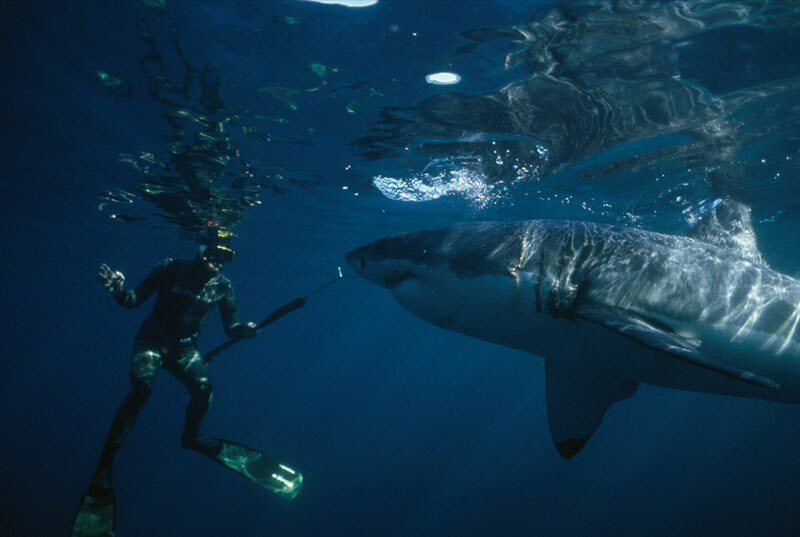 Sharks are often portrayed as this man-eating monster of the seas but by exercising proper education procedures we can protect the white shark successfully. 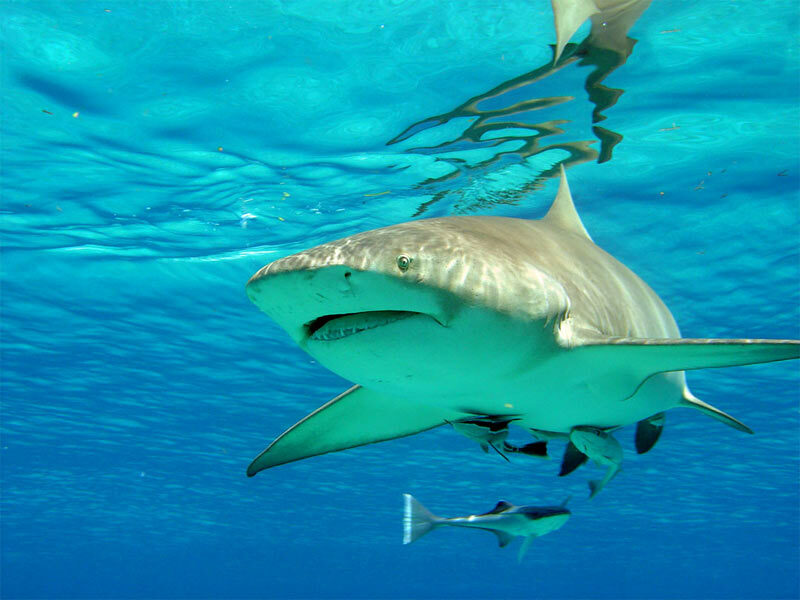 We use only the best shark operators that maintain the highest standards and who comply with the strictest code of conduct and safety for both diver and shark as laid down by our local Marine & Coastal Management. 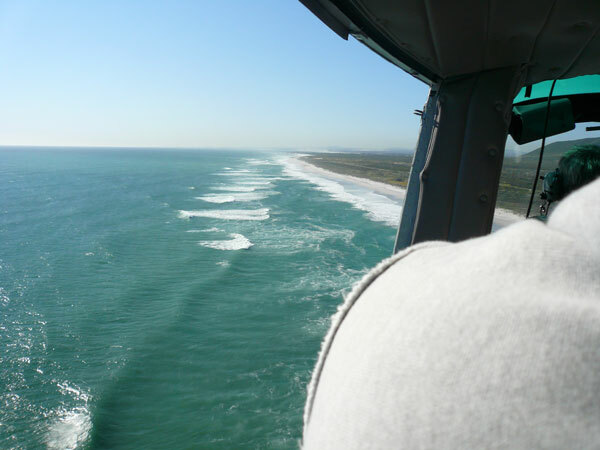 All crew are experienced on our waters and have had long ties to the sea their main priority is your safety and well being. 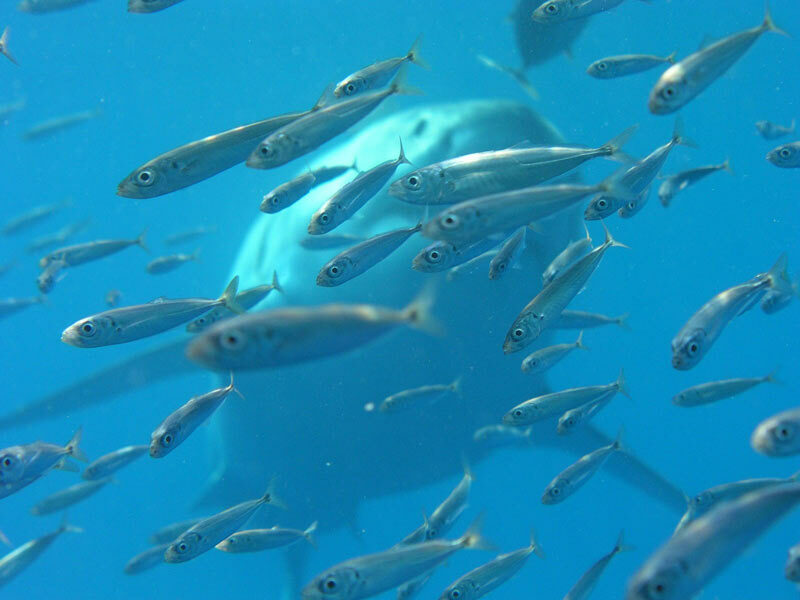 Sharing their years of knowledge in working with sharks their goal is to lead you to a better understanding of sharks. 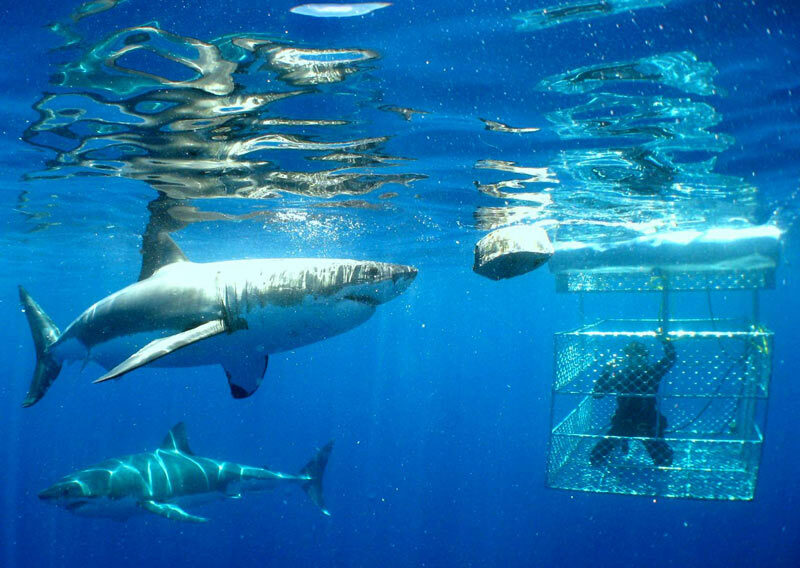 All you need to qualify to do the cage dive is to feel comfortable in a cage in water. 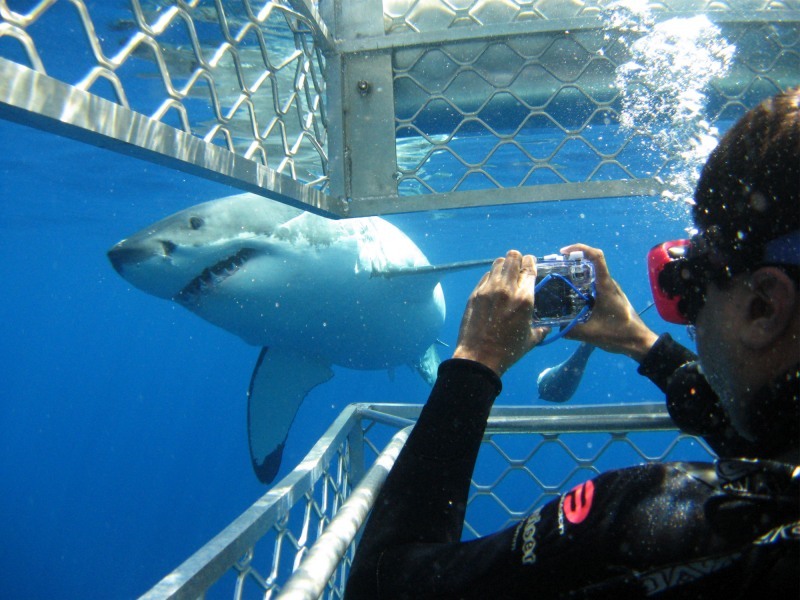 Always bear in mind that when dealing with Wildlife one cannot always guarantee seeing White Sharks on every trip. An " Experience of a Lifetime " meeting this magnificent animal face to face for the first time in his own environment, will be forever imprinted in your memory! 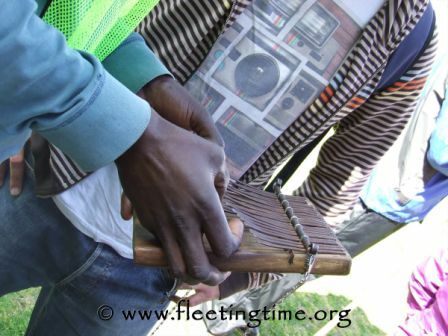 So join us on a trip and we will help to make this your "Experience of a Lifetime". Many of the Blue Buyou guides are golfers and will accompany you on the golf course! 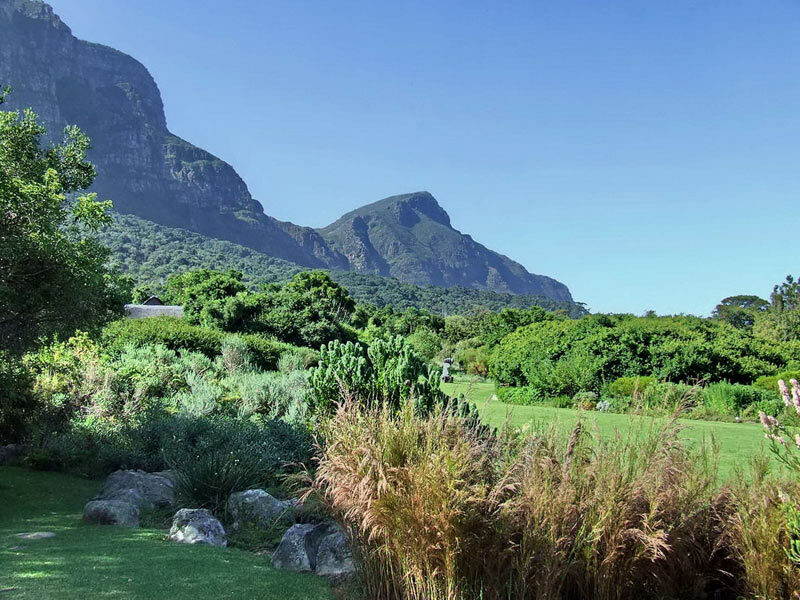 Designed by Peter Matkovich, this 18-hole Championship course is nestled at the foot of the Constantiaberg Mountains with spectacular views over the working vineyards, gardens, forests and mountains. 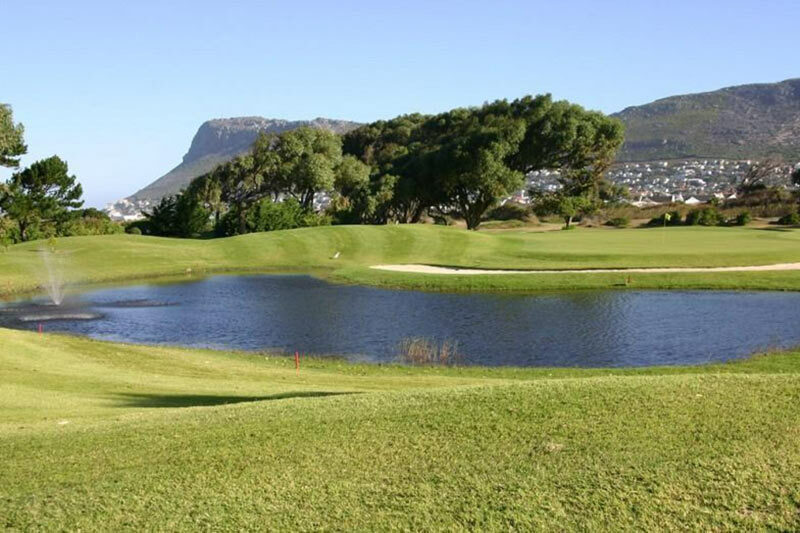 Aptly described as a “Green Haven”, this parkland course has gentle natural slopes with large bunkers and water hazards together with well-manicured greens, tees and fairways, offering a year round special golfing experience. 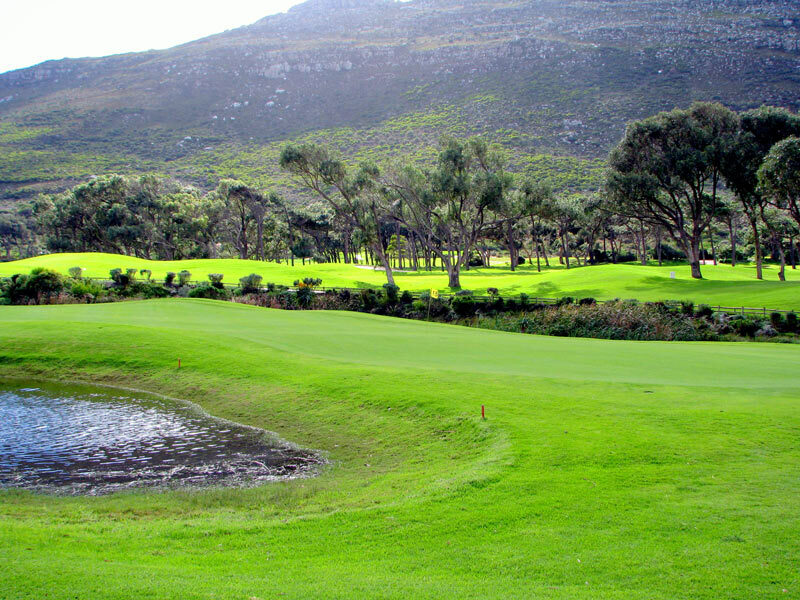 Clovelly ranks as one of the finest courses in the Cape Peninsula. 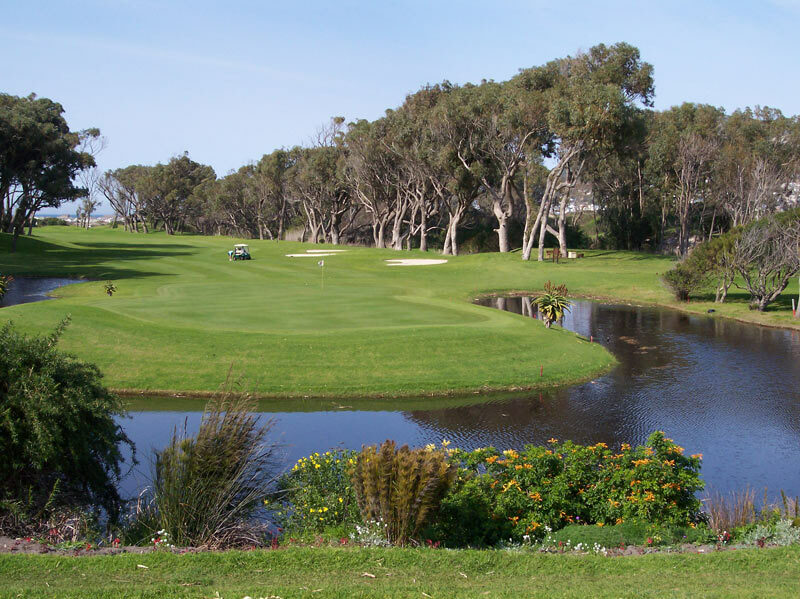 Designed by Dr Charles Molteno Murray, this picturesque and challenging course is famous for its rolling tree-lined fairways and undulating holes. 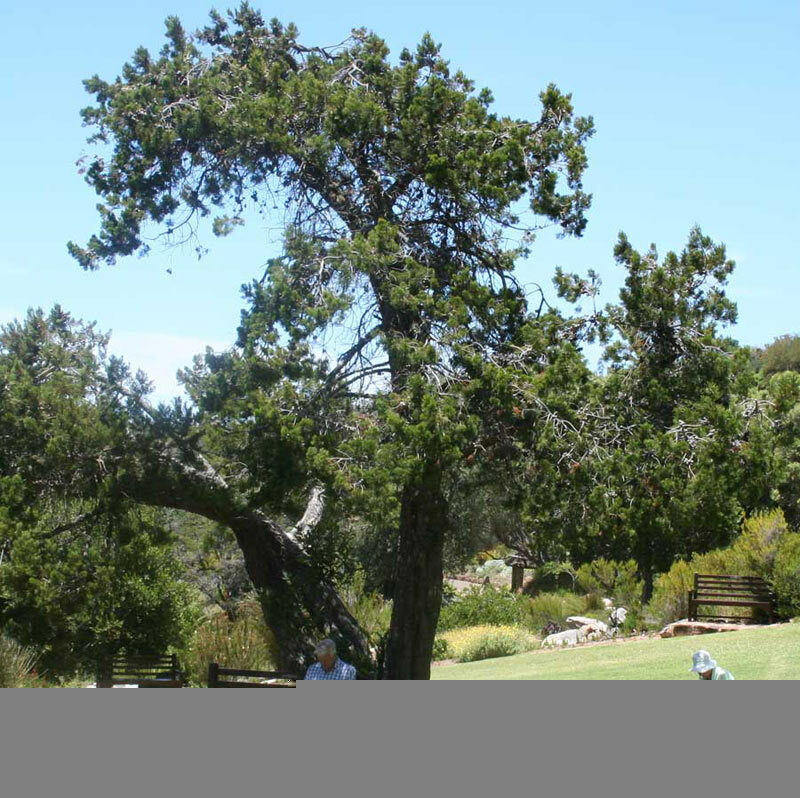 Clovelly complements its rich coastal environment with natural sand dunes surrounding the course and, being blessed with many water features, is home to a wide variety of indigenous flora and fauna. 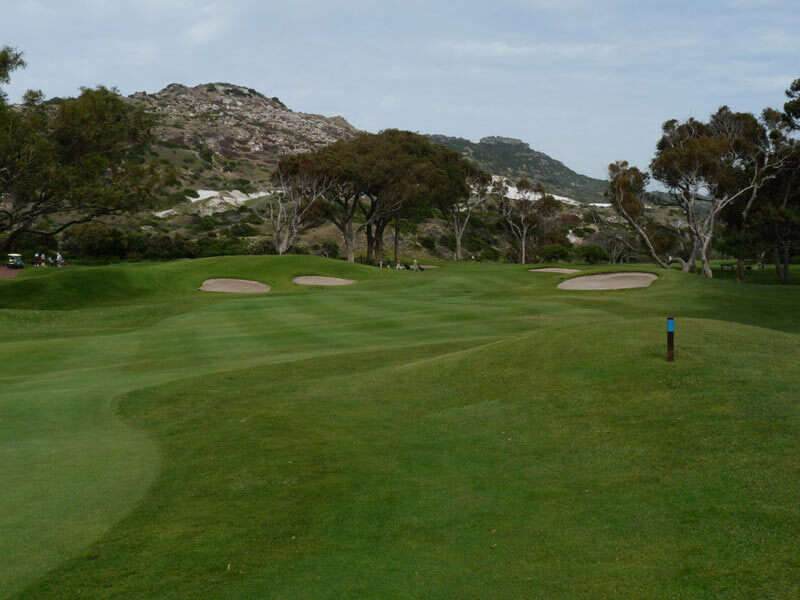 The championship-quality bent grass/ poa annua mix greens are among the finest in Southern Africa. Of moderate length (5 869m - Par 72 men & Par 73 ladies), Clovelly is unique in that it follows neither the links nor the American tradition in its design. 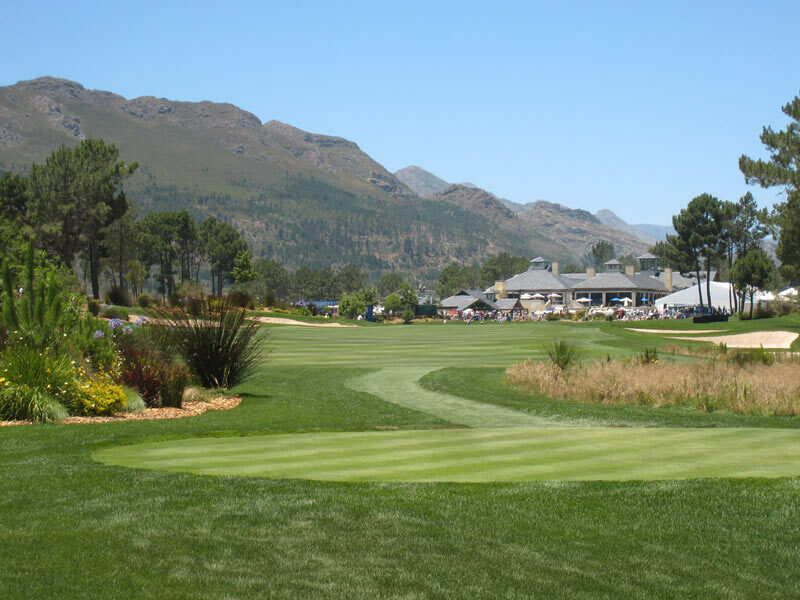 It is a tight course by South African standards, and has a fine blend of testing holes, with the Silvermine River and adjacent ponds adding much to their character. 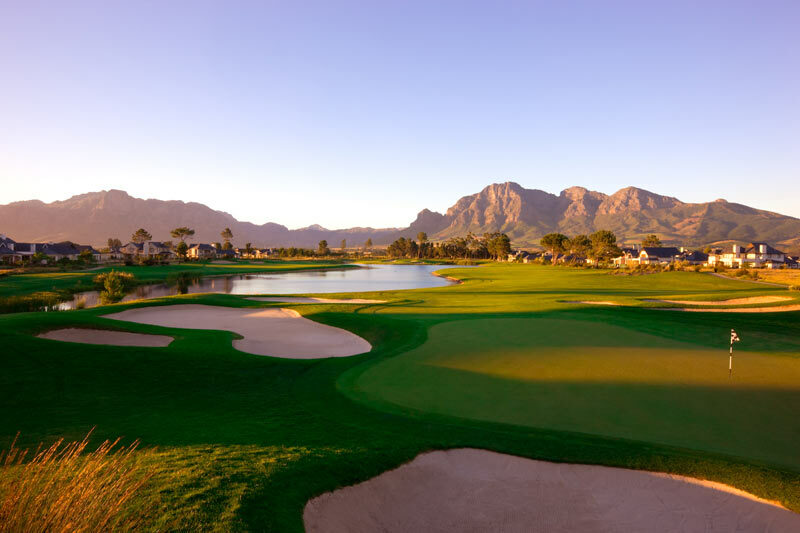 Each hole has a special distinctive setting with magnificent views of the surrounding mountains and False Bay. 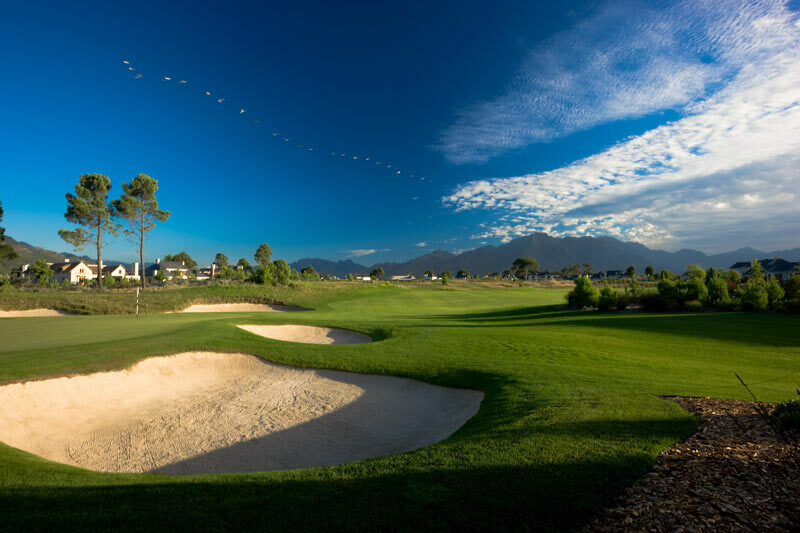 This championship Jack Nicklaus signature course is a truly superb course with a magnificent setting. 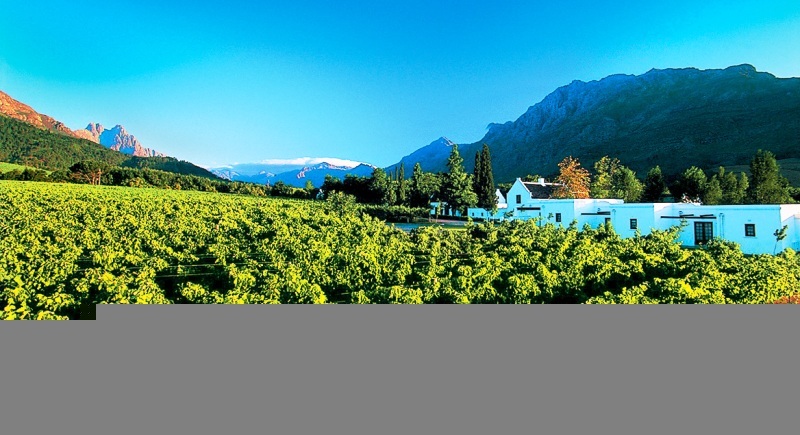 Surrounded by the Franschhoek and Paarl mountain ranges, and between vineyards and stately trees, the vistas are magnificent and enveloping. The course has a rare design in that it is crossed by roads in only three places and the drainage system allows play to resume just minutes after a severe cloudburst! 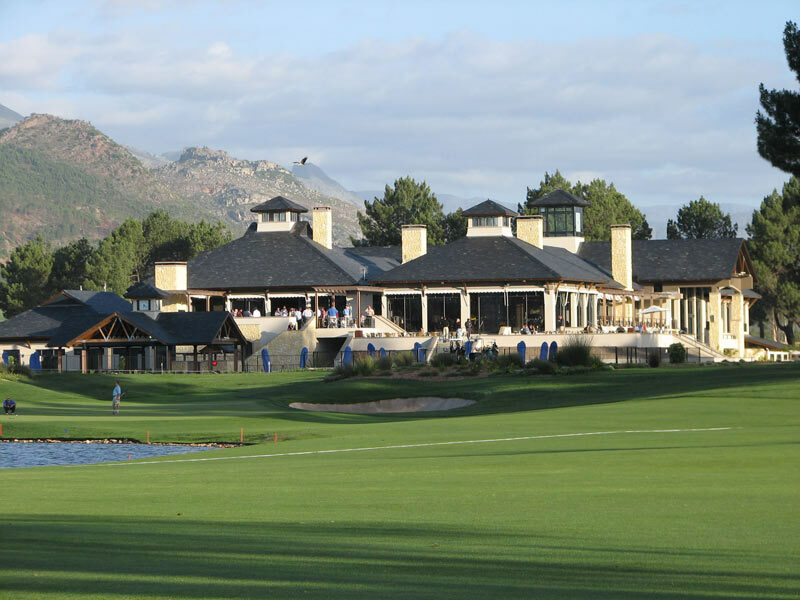 Having been officially launched on 17 November 2003, the course is in excellent condition and has Oregon Rye fairways and Bent grass greens. 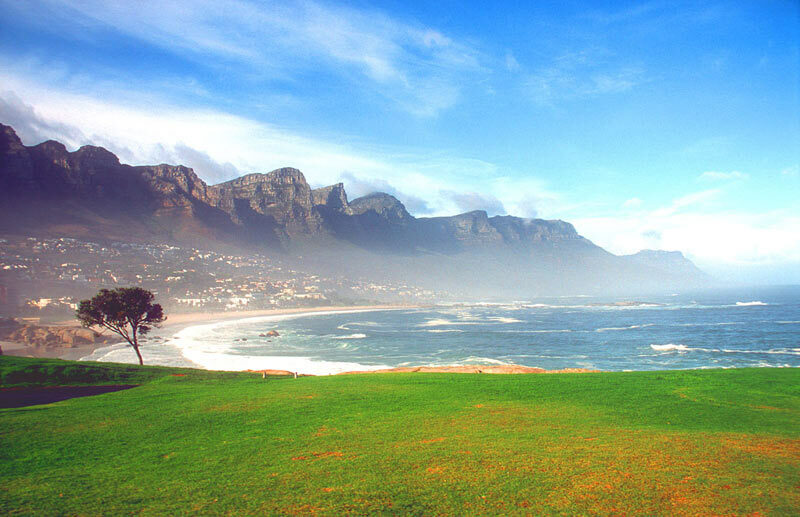 Water comes into play on 7 holes and with 78 bunkers and the majestic surroundings, makes this a true golfer’s delight. 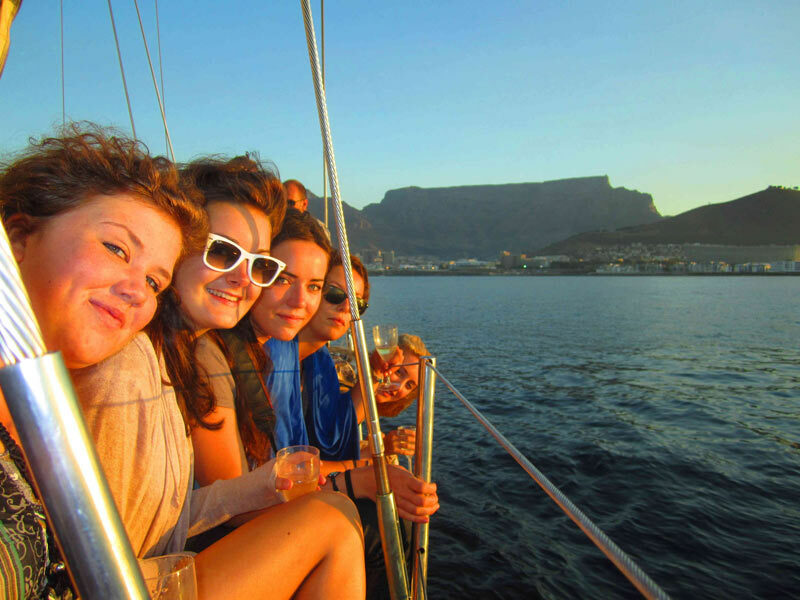 1 hr boat cruise or a wonderful champagne cruise. 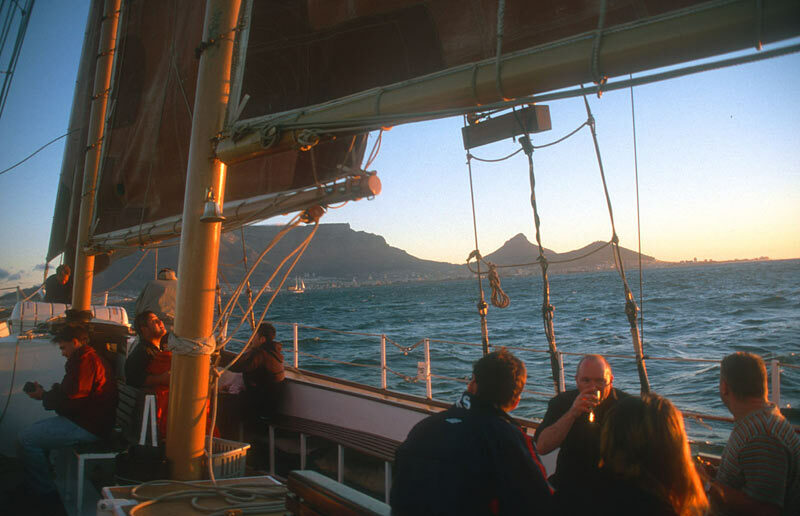 The sunset cruise which departs at 19h00. 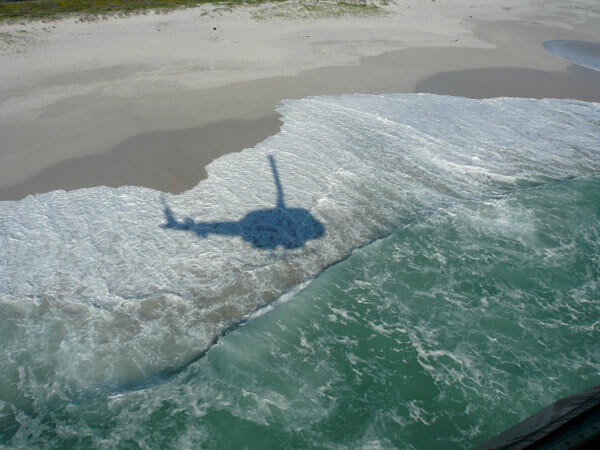 Robben Island cruise on Condor leaving at 13h00, returning at 15h00. 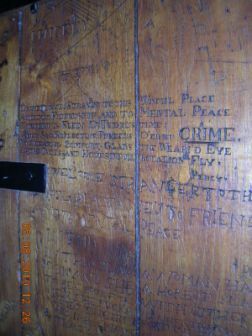 Includes guided explanation of the coast of the Island as well as other points of interest on the Island. Please note you do not get off the boat and onto the island!. 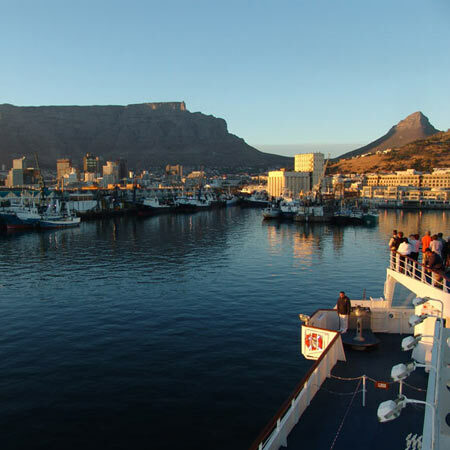 High speed ECO/Adventure takes you on a fun filled cruise along the Atlantic Seaboard, taking in the sightings of marine life, seals, dolphins, penguins as well as spectacular views of the coast. The largest casino floor in Africa. 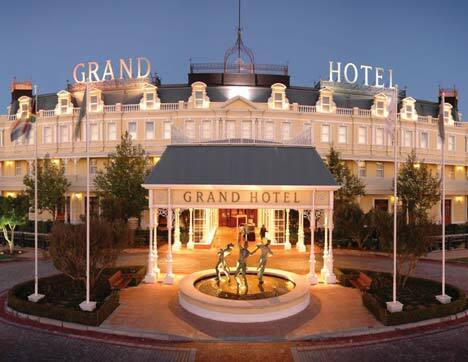 Situated a mere stone’s throw from Cape Town’s city centre lies the Grand West Casino – heaving with activity for old and young. 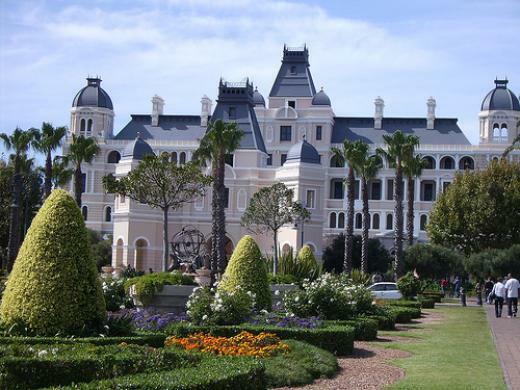 The Casino floor is the largest in Africa. 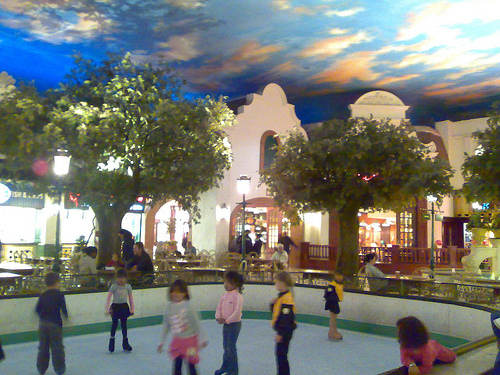 More than 1800 slot machines and 60 gaming tables dealing in black jack, roulette, poker and punto banco. 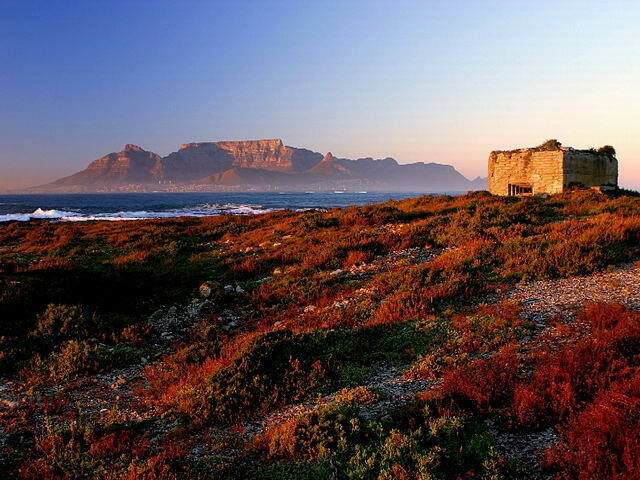 Explore beneath the City of Cape Town! 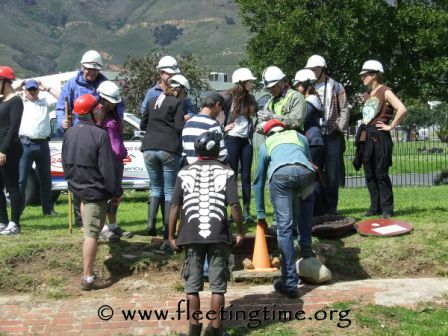 Tunnel exploration is a new urban activity below the City of Cape Town. 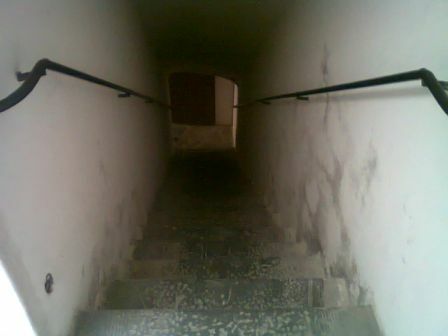 Parts of the underground Canals and Rivers date back to 1652. 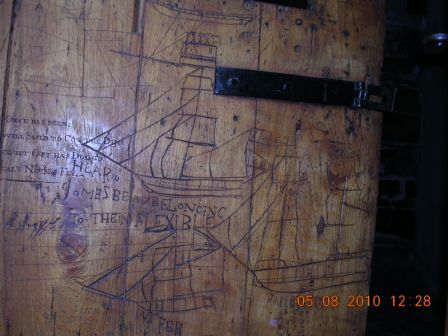 They used to supply the passing ships with fresh water. Later these Rivers flowing through the City became pleasant walkways shaded by Oaks with Bridges going over them. As the years passed and the City expanded they were eventually covered up and forgotten. 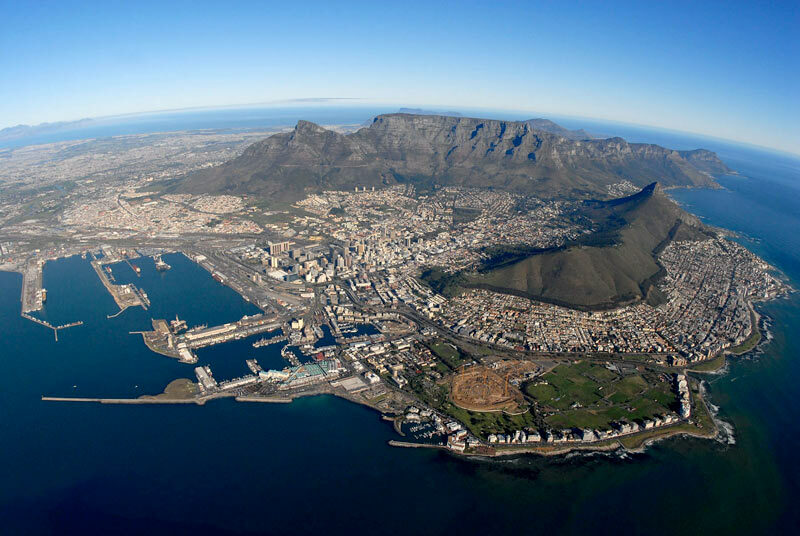 Cape Town was once known as the little Amsterdam in a foreign country. 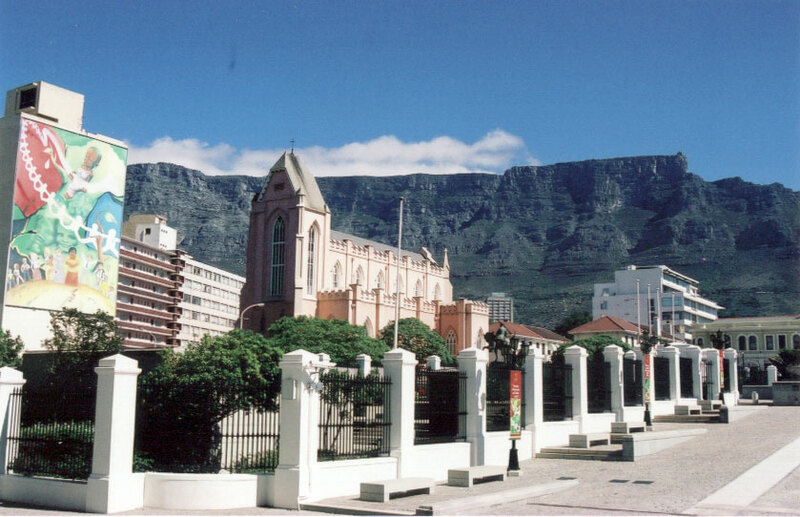 We meet at the Castle parking area which is of Darling street behind the Castle running parallel to Table Mountain. 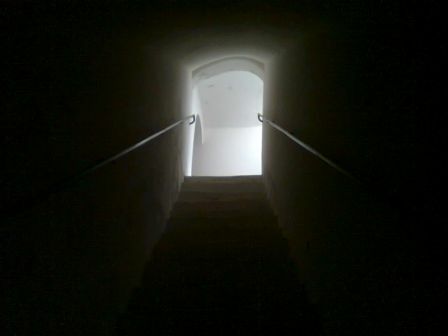 10h00 we meet at the Castle parking as above. 10h30 we leave for the tunnel entrance. 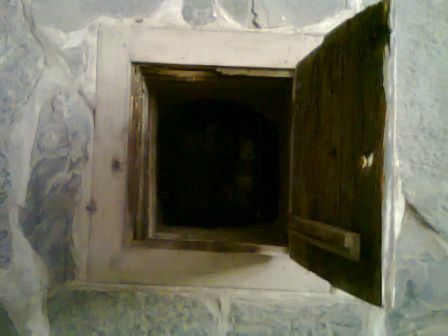 12h30 exit at the Castle. First human heart transplant: How it all began… “It is the crowning effort of a team of men and women who bring at that moment, the training of a lifetime. Structured with the inherited technique and skill of a millennium - all are fused to one objective: to replace a dying heart with a new one, to save one life.” (Christiaan Neethling Barnard, 1922-2001). 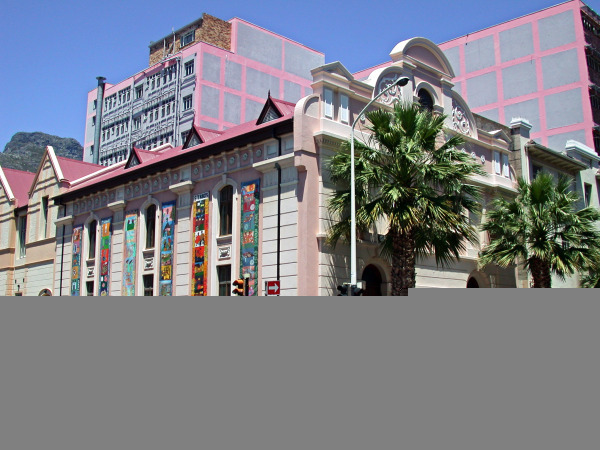 The drama of the world’s first human heart transplant, led by Professor Christiaan Neethling Barnard, played out within the walls of the Charles Saint Theatre, at Groote Schuur Hospital on the 3rd December 1967. The human heart transplant, one of the greatest moments in medical history, was made possible by an extraordinary interplay of scientific dedication; human courage and generosity and a timely chain of events. a major role in the surgical feat that pushed the boundaries of science, The Museum honours all those who played a major role in the surgical feat that pushed the boundaries of science, into the dawn of a new medical era, an era in which it became possible to transplant the symbol of the essence of life, our human heart.